Okay this posts title is a bit average but let me assure you that a visit to Hobart is not. It was a few weeks ago now that we visited Hobart, but I’m still thinking about some of the excellent food and wine experiences we had. The visit was again centred around MONA, but we also had plans to venture a bit further a-field this time. 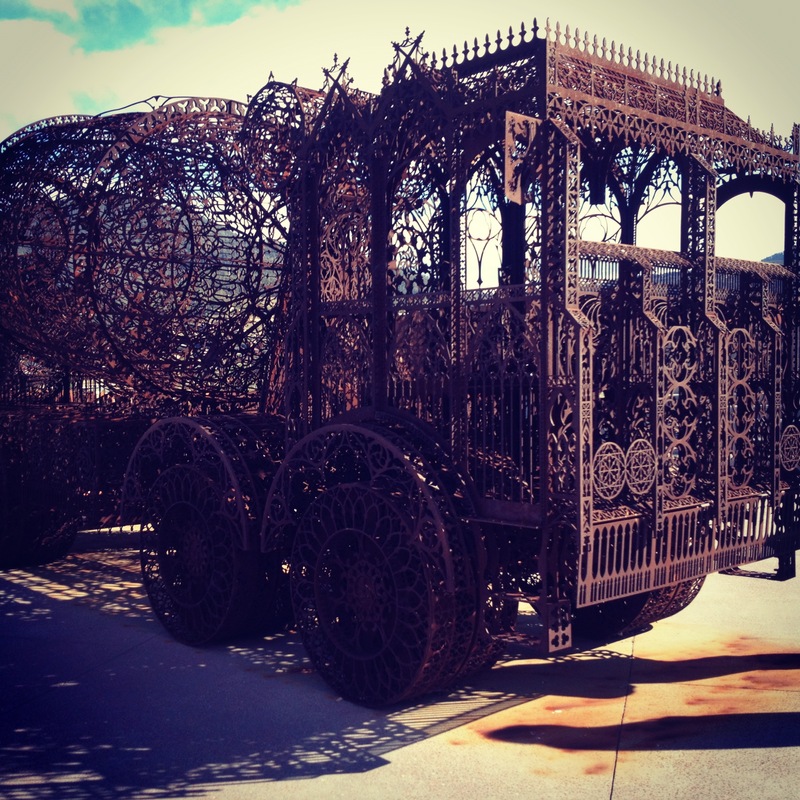 If you haven’t heard of MONA, I wrote about it adoringly in a post last year. It’s the Museum of Old and New Art and it not only houses an incredible collection of art, it’s an architectural wonder and has the most gorgeous grounds and wine bar. The Moorilla winery and Moo Brewery are all co-located making it a must if you are visiting Hobart. 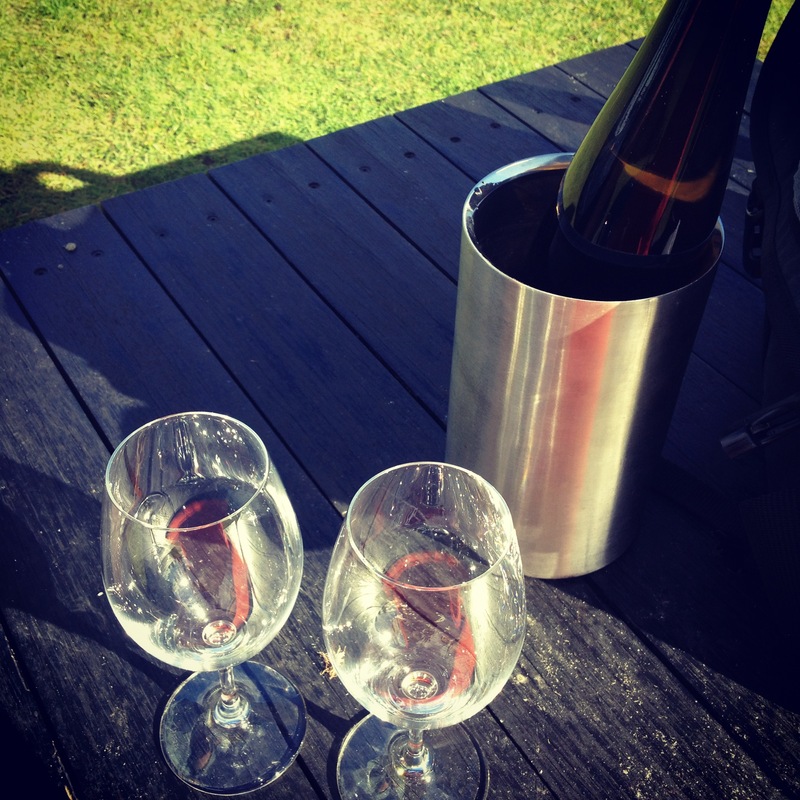 After checking out the gallery space we ventured out to the lawns for a bottle of Morilla Pinot Gris. I’m not sure what it is about these grapes, but this Pinot Gris has a smokey depth of flavour I really like, it reminds a little of Holly’s Garden. 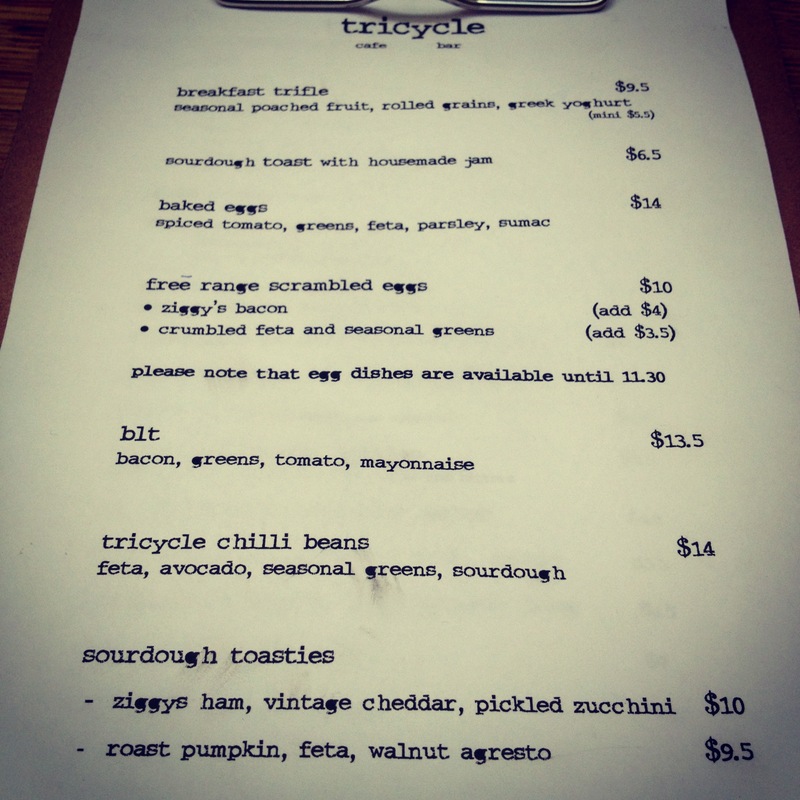 We had an excellent Five Senses coffee and a BLT at Tricycle Cafe, located in Salamanca Place. I loved this cafe last time, it’s a shame it’s not open on Sundays. The BLT was particularly pleasing due to the beautiful homemade mayo and heirloom tomatoes. We had dinner at Garagistes, it was one of the best meals I’ve had in a long time. I left my camera in my jacket pocket, therefore I don’t have any photo’s of the night. One of our favourite dishes consisted of two variety’s of heirloom beetroot, which I think really exemplifies the style of food in this restaurant. The produce really does shine, lots of fresh and heirloom herbs, with interesting and effective use of wild native edible foliage. We mainly chose from that night’s specials and had an incredibly fresh sashima tuna with housemade XO sauce. The lamb sweetbreads were a particular highlight as was the overall presentation of each dish. I had seen purslane at the Farmers Market, but now that I’ve eaten it I’ll be trying to work out how to use it at home. It’s a native succulent that to me has a peppery flavour similar to rocket. I could write a page on it’s own about Garagistes, I highly recommend it. I also recommend Sidecar a newly opened little brother to Garagistes. A small dimly lit room centred around a single bar. You can use this as your waiting space if Garagistes is busy or simply have a few glasses of wine and bar snacks. If you’re a fan of the SBS series Gourmet Farmer, farmer Matthew has a small and perfectly formed shop within the warren of shops at Salamanca Place, just near Tricycle Cafe. I was particularly pleased to see flour from Callington Mill. What beautiful packaging, protein content a little high for pastry making but excellent organic grains for making bread. 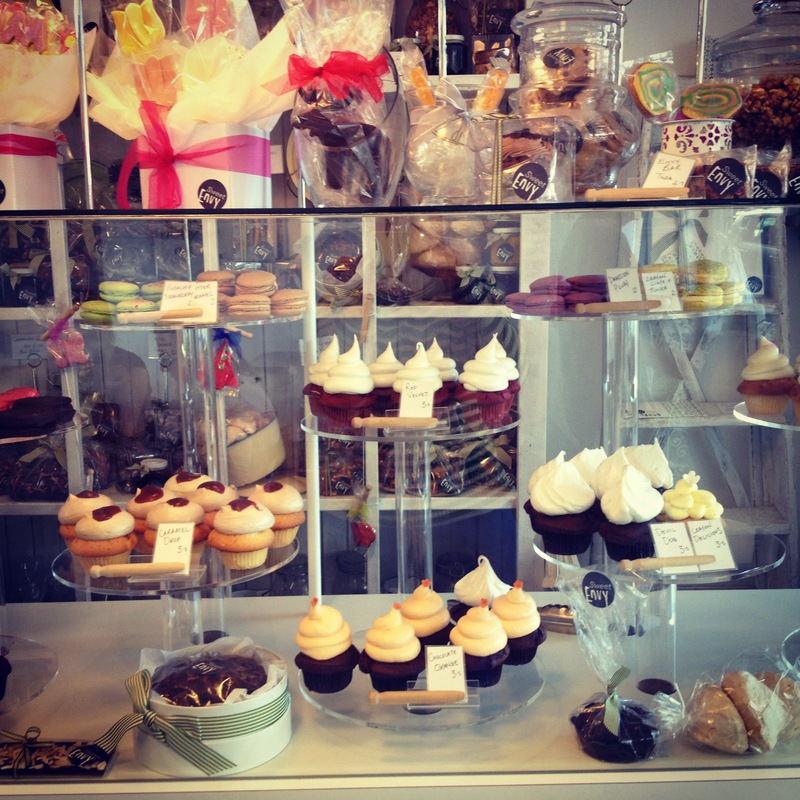 One of my favourite places in all of Hobart is Sweet Envy. 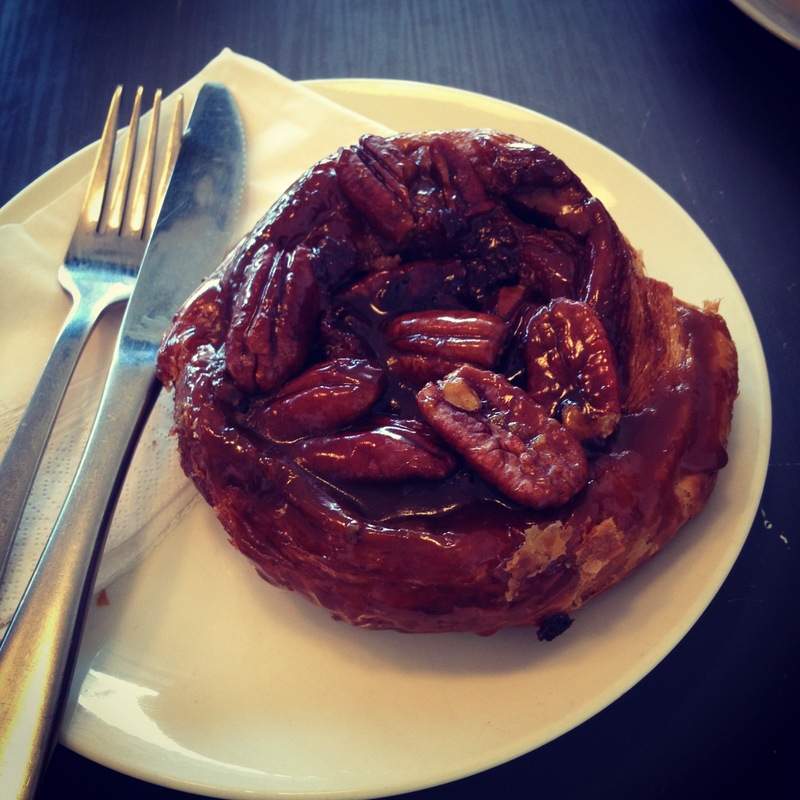 I first read about this place in Gourmet Traveller and had marvelled at the recipe for pecan sticky buns. I finally had the opportunity to taste one, they possibly only make them on Saturday’s (but I might have made that up.) Whatever, get there and get one, THIS is the BEST (double capital lettering required) pastry I’ve ever eaten. The caramel is lush and the bun itself buttery and flaky, heaven. If you live in Melbourne Nat at Beatrix makes something similar or you could try to re-create them, the recipe is on-line at Gourmet Traveller. 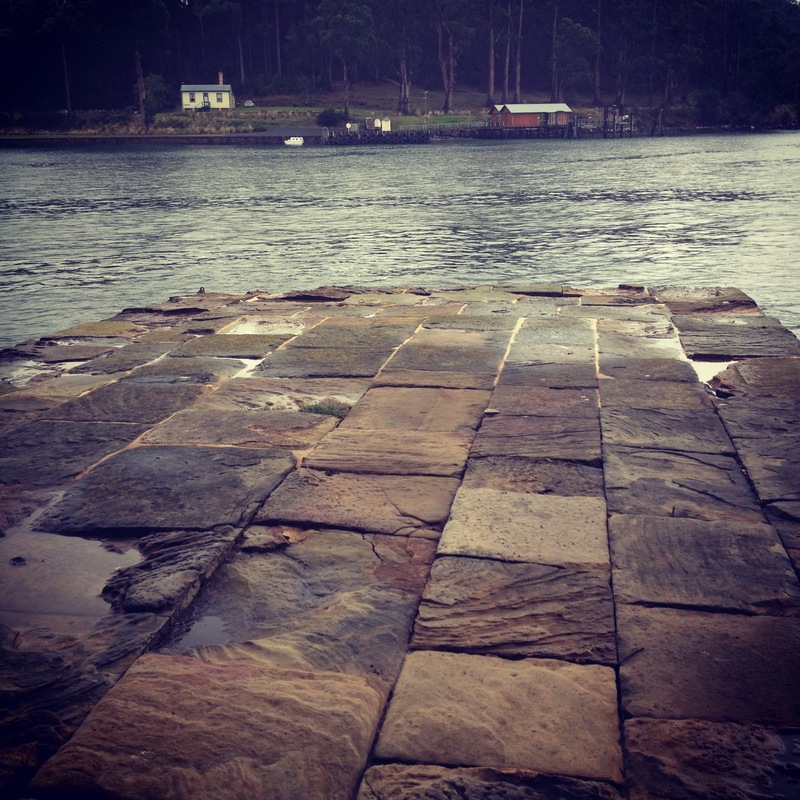 We spent our last day venturing further afield to Port Arthur which is incredible. How had I never been there before? It was a cold wet day which just added to the atmosphere. I could have easily spent an entire day there, but unfortunately we didn’t have loads of time. I recommend planning ahead and allowing for the entire day here, it’s worth it. 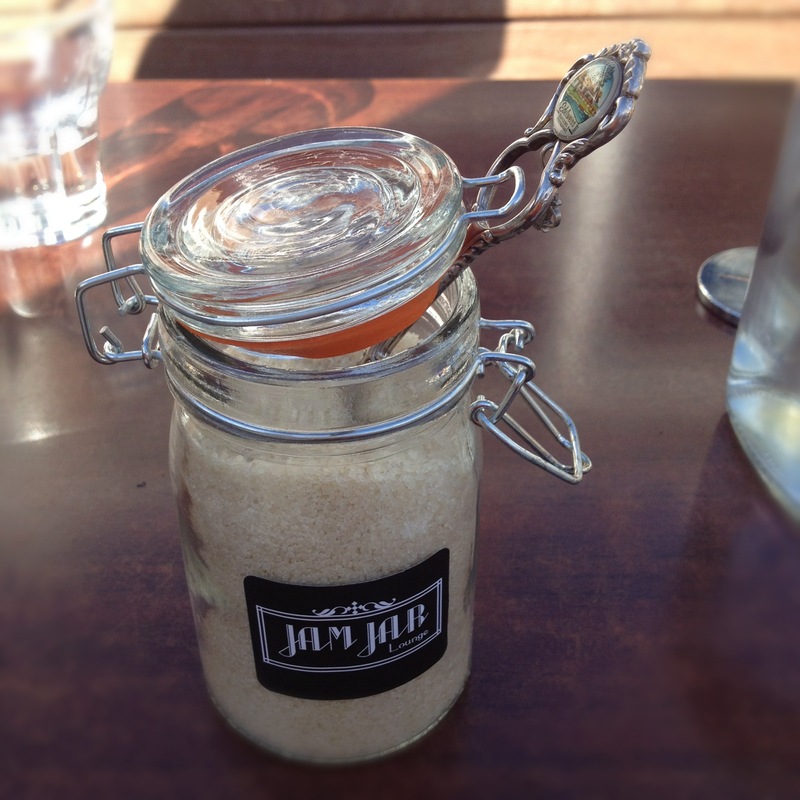 If Tricycle Cafe is not open, I can recommend The Jam Jar, up in Battery Point behind Salamanca Place. 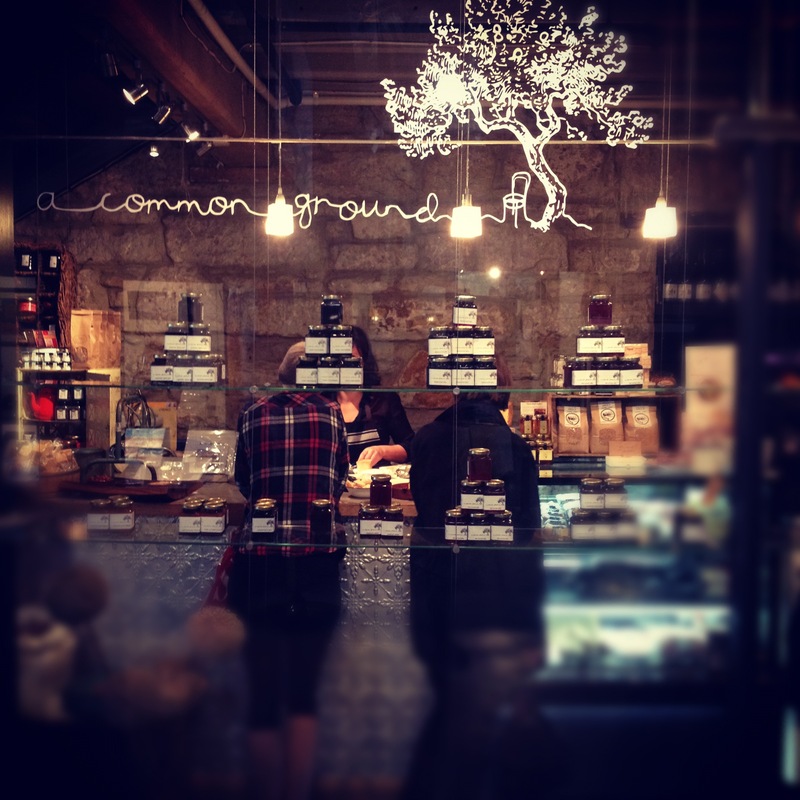 A twee cafe with open fires that does excellent free range eggs and Five Senses coffee. To top off an incredible weekend we drove back from Port Arthur to the airport and had the best cone of hot chips ever. The Doo-Lishus Cafe was a cafe on wheels and did itself proud with those excellent chips in a cone. Yes, I was taken with the novelty cone, can you tell? 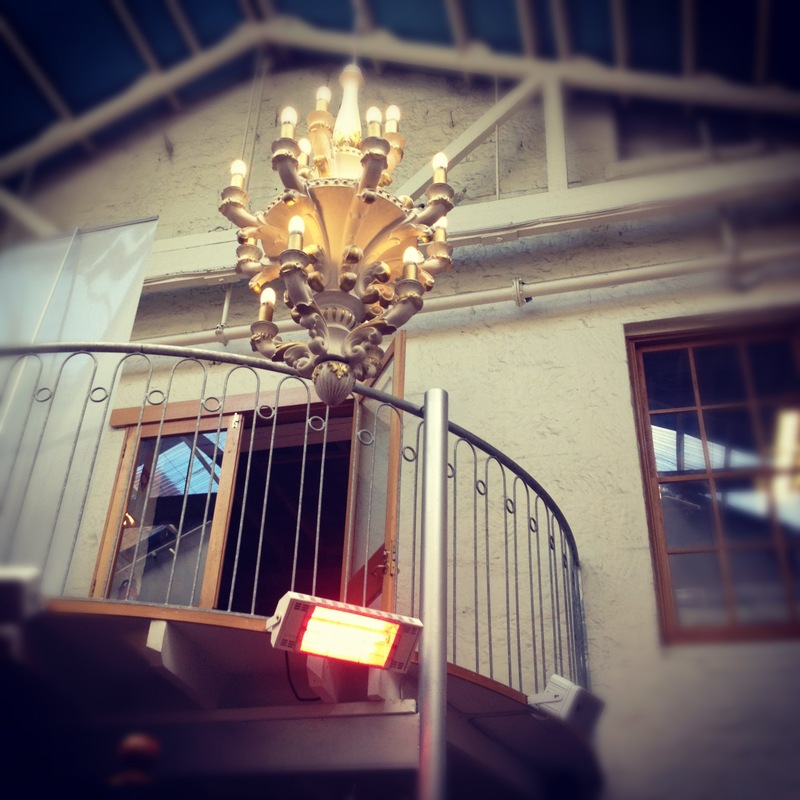 For accommodation I’d recommend the Henry Jones Art Hotel, a great location (on the harbour within walking distance of Salamanca Place) and set in the old IXL Jam Factory it’s an amazing space, think exposed beams and sand blasted brick walls. I have been in a bit of blog hiatus of late, I went back to work full-time a few months ago and this has meant less time for blogging. Although I haven’t been writing about things I have been eating them, this post is a bit of a catch-you-up on what I’ve been devouring. 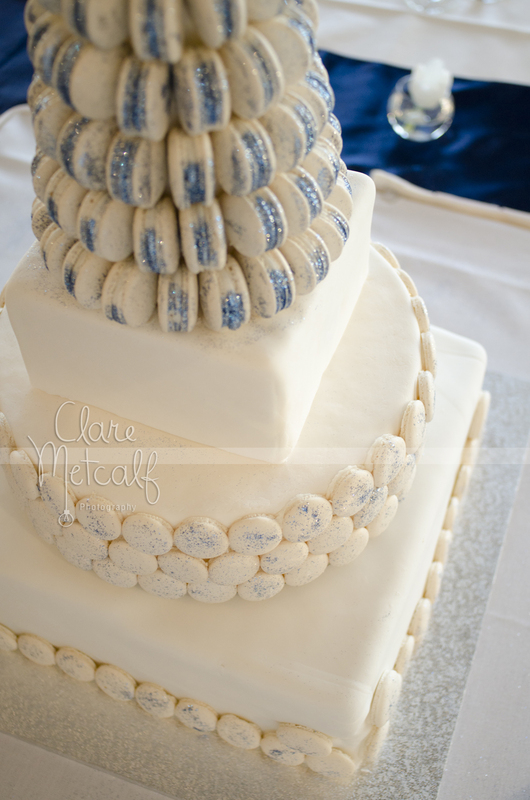 Other than my planned entries to the Royal Show this year, my biggest achievement for 2012 was my niece’s wedding cake. If I got married now, that is, if I were getting married to my husband now, I would serve the wedding cake with champagne at the commencement of festivities and not make my guests wait. Wedding cake’s are a mammoth effort to make, this I know now for fact. I would like to say a HUGE public thankyou to Yen and Bern from Luxbite for creating the cake’s crowning macaron tower glory. So incredible. Bern is so talented and doing the tower in this way added so much texture to the overall cake, but I know it required so much skill, which he clearly has. Here’s a bit of timeline of how it came together. Starting with baking the cake itself, through to Luxbite producing the crowning glory. 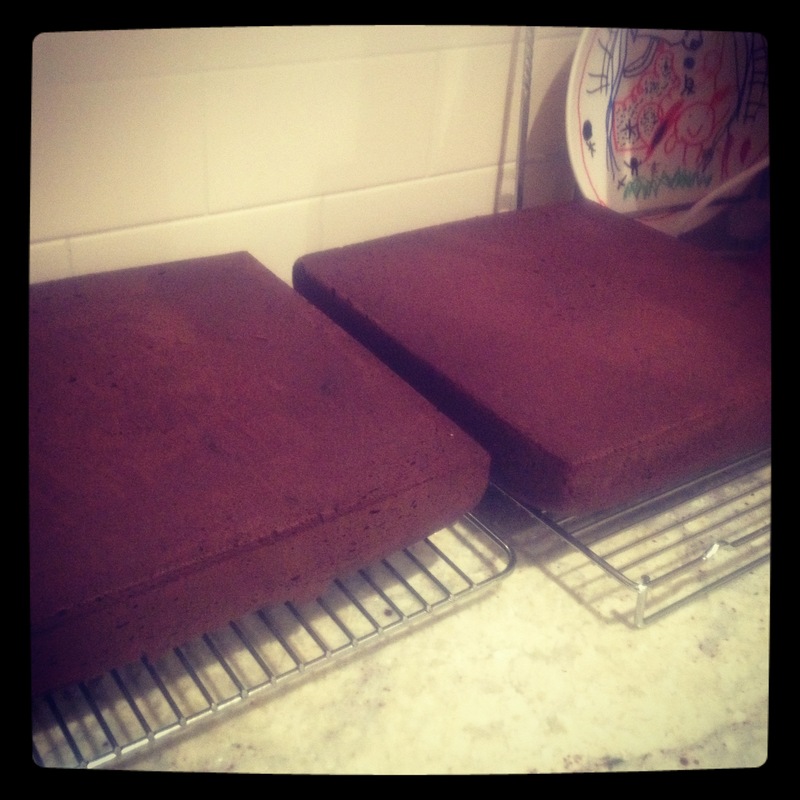 Two extra large chocolate cakes. 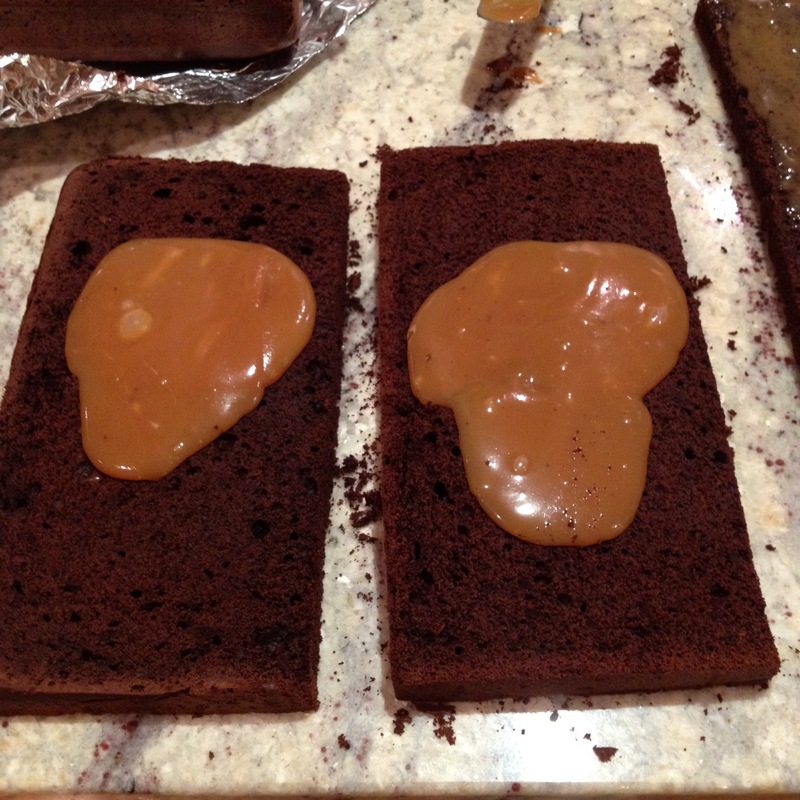 First a filling of salted caramel. Then a layer of whipped chocolate ganache. 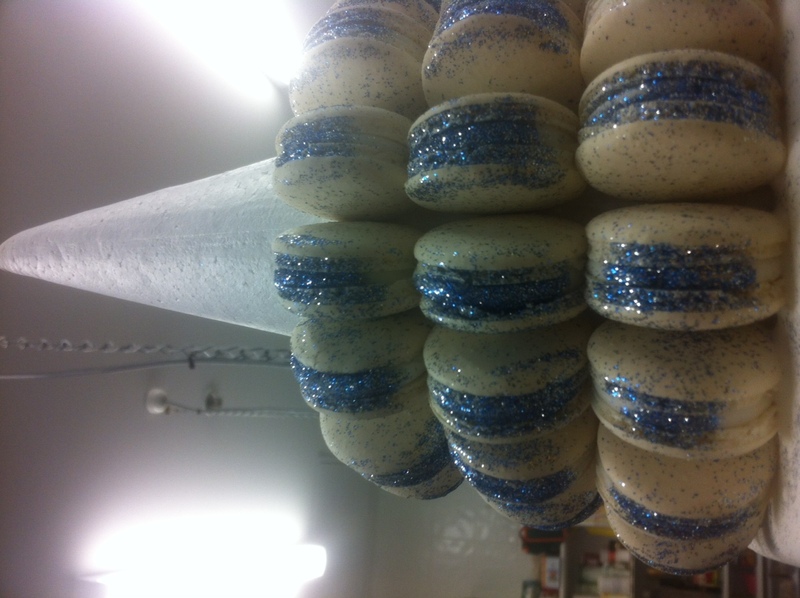 A custom made Luxbite macaron tower, that’s edible glitter people. 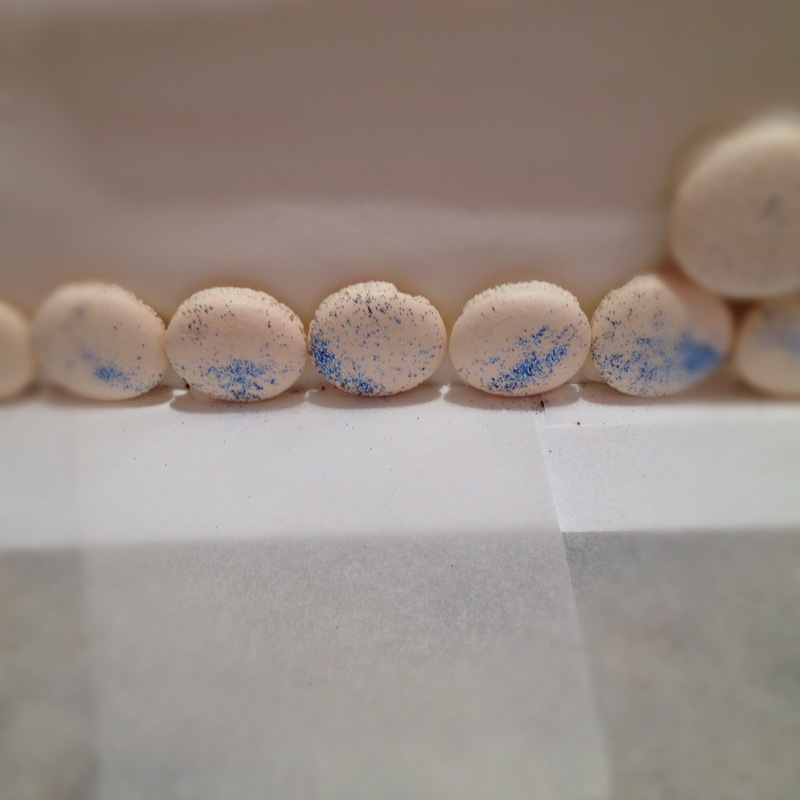 Small macarons along the bottom of the cake. 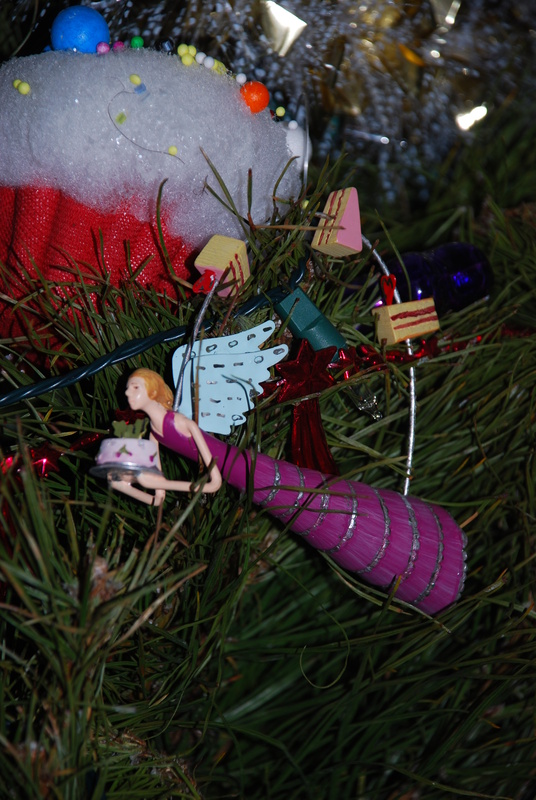 And thanks to Clare Metcalf photography for this beautiful picture of the final product. I felt proud and hope the bride and groom enjoyed it. Phew. 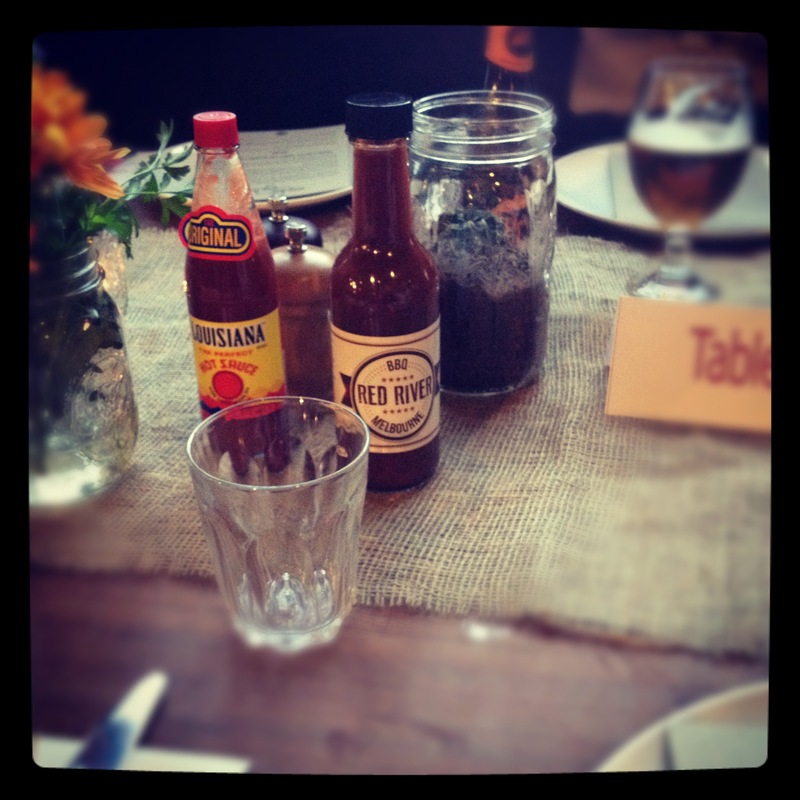 That done I recently enjoyed a great evening hosted by Fringe Food Festival at St Ali, a Texan BBQ. This was my first Fringe Food Fest event and I really enjoyed myself, the vodka peach tea was a slow burner. I was expecting a bit of background chat about the food and why the Texan’s serve what they do at their BBQ, but enjoyed the food regardless. 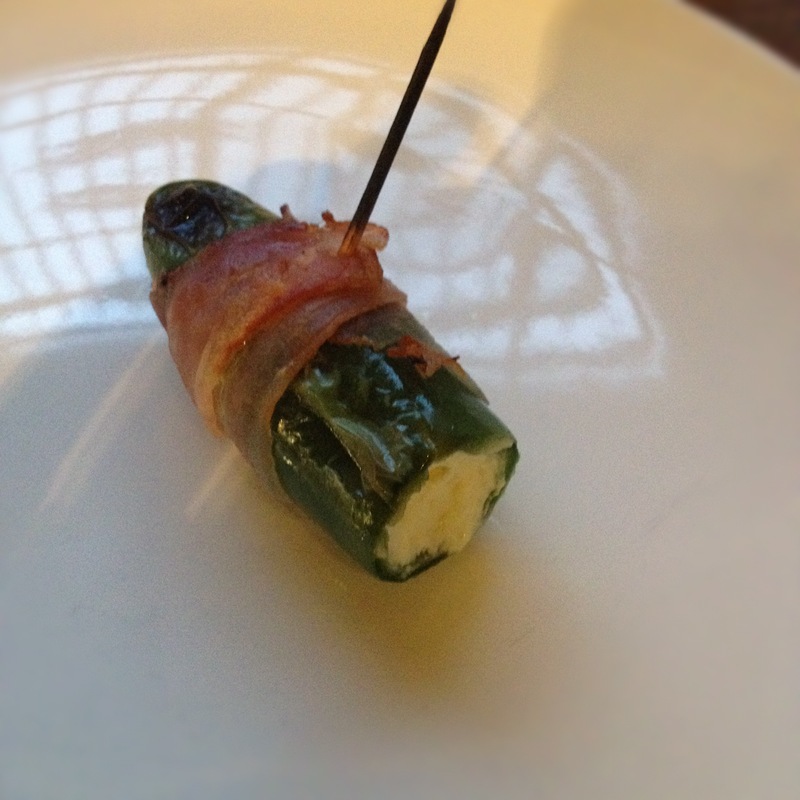 My favourites were the cheese stuffed chilli peppers wrapped in bacon and the deep fried pickle chips. Among the many cookbooks I received from my gorgeous husband for Christmas was David Lebovitz’s “The Perfect Scoop” and have been henceforth churning ice-cream. Chocolate is a favourite. With ice-cream making comes an abundance of left-over egg whites. 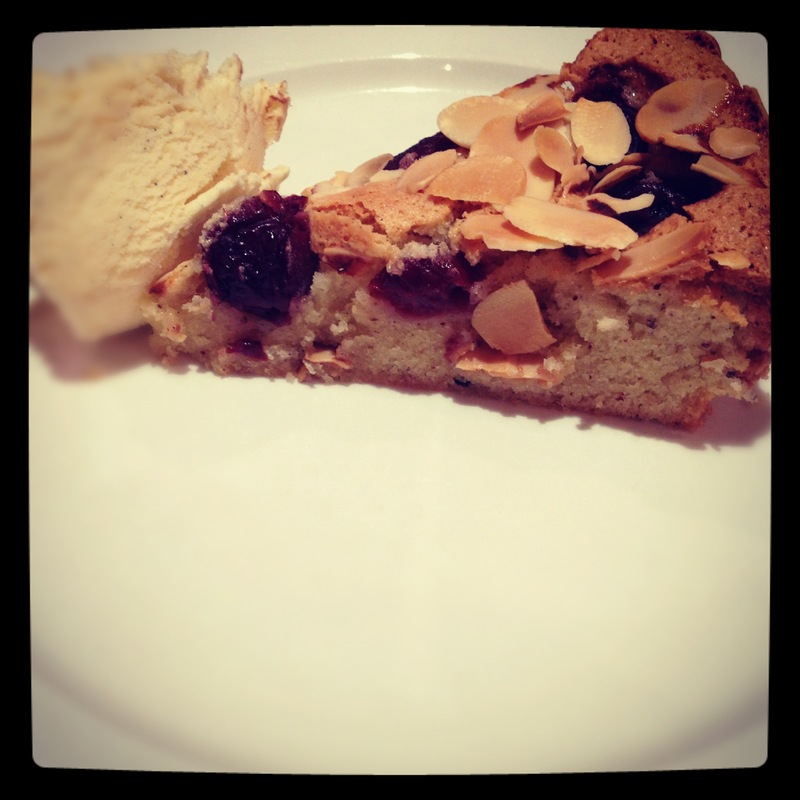 I’d scoured about for good recipes to use up those egg whites and the lovely Essjayeff reminded me of her cherry and burnt vanilla butter torte, I implore you to make this recipe it is divine. Thanks SJ. 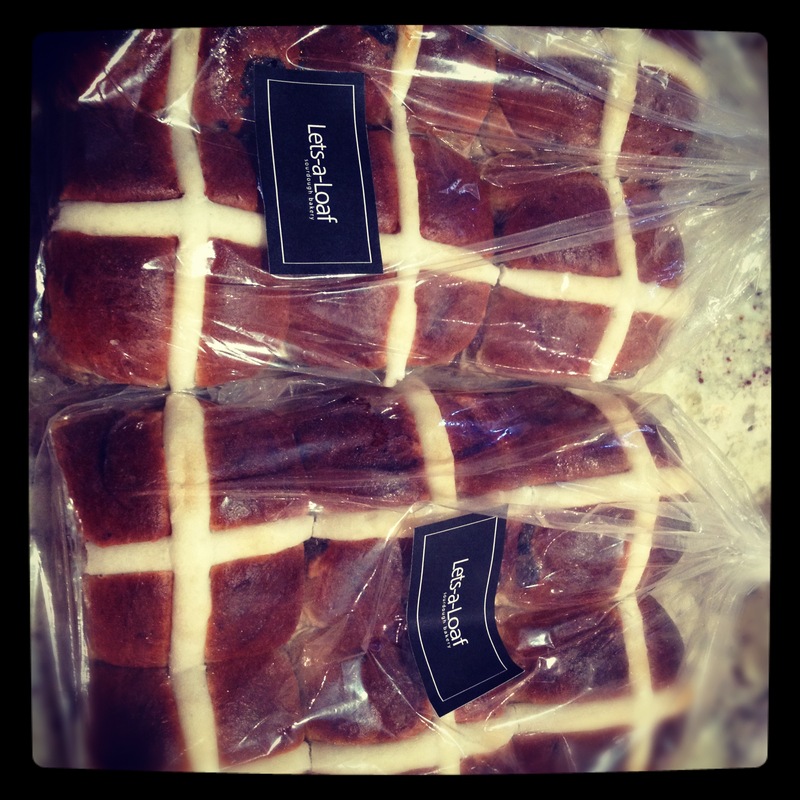 Easter has come and gone and we devoured many of these splendid buns from Lets-a-loaf, just as good as the homemade, sort of. In any case, they are my new favourite store bought kind. 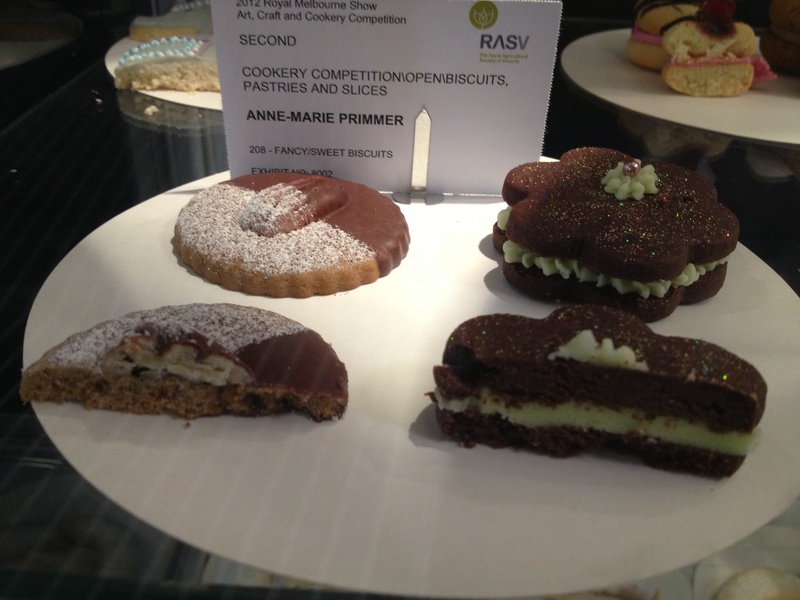 In other Patisserie related news, I had to make the rather sad decision to defer my studies. Going back to work has been a big change and I was finding it a bit hard being at work all week, then in the kitchen at school all day Saturday, only leaving Sunday to spend with my family. 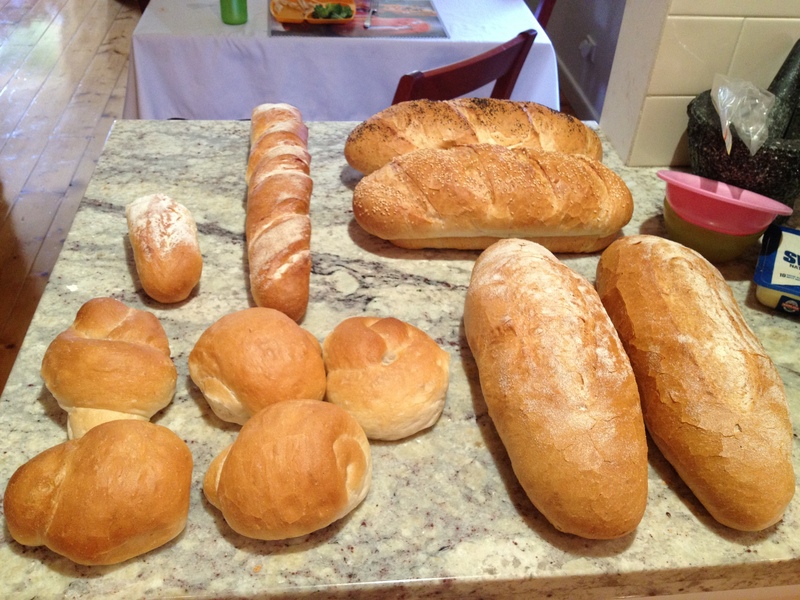 Anyway, here is some of the incredible bread I baked, bread baking was by far my favourite subject. 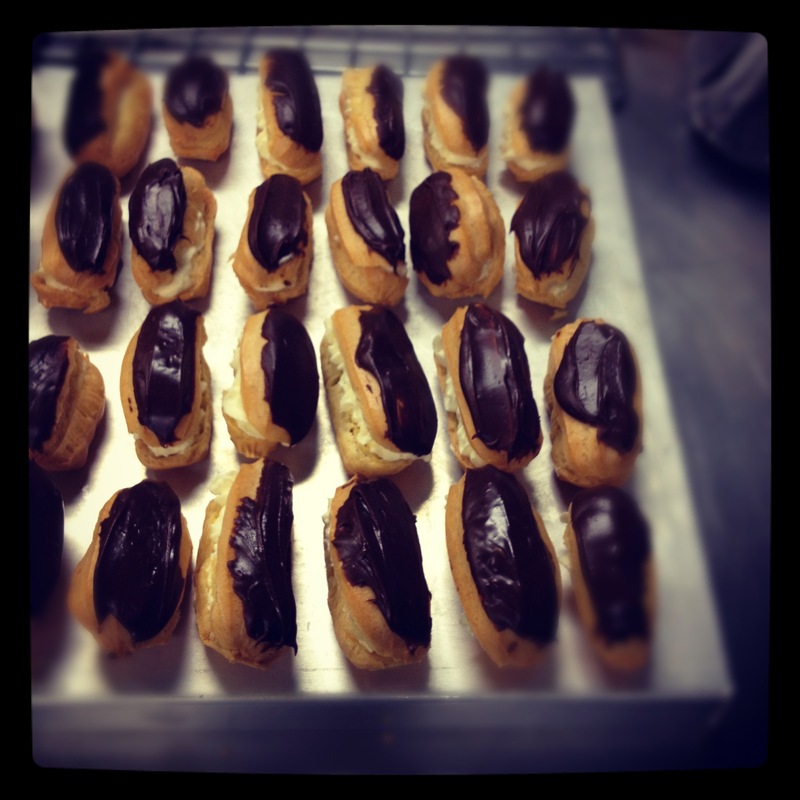 I also filled and decorated all these gorgeous eclairs. 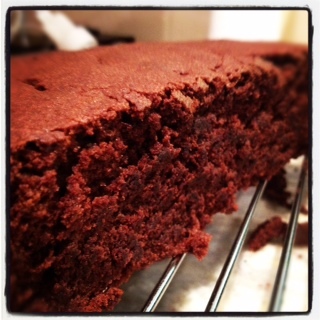 And finally, I made this chocolate cake on the weekend. This is basically what the inside of the wedding cake was like. Chocolate caked, filled with salted caramel and here I’ve covered the cake in chocolate and caramel buttercream. 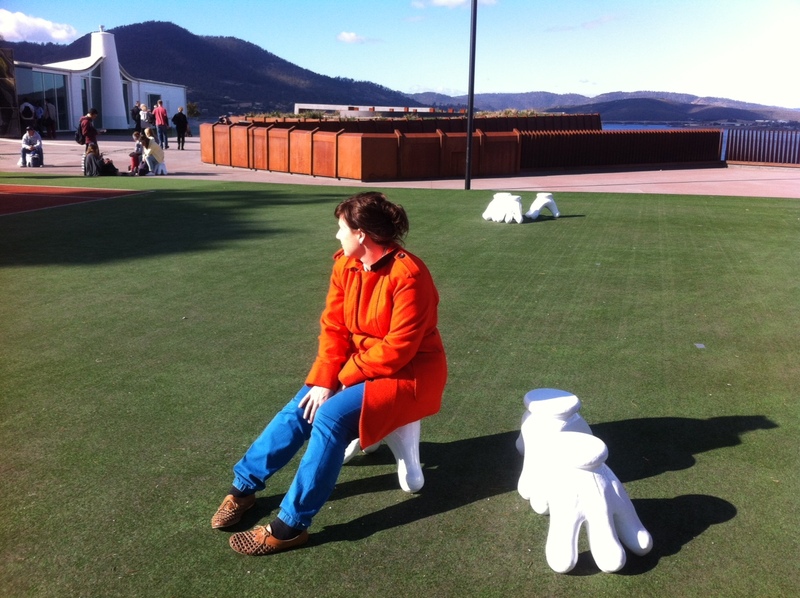 I’m heading to Hobart for my second visit to Mona this weekend, expect a Hobart based food frenzy post soon. I’d like to preface this post by saying up front that I am by no means an expert in flour. But what I am is someone who likes to know where and how ingredients are made/sourced and think that when it comes to those most basic of ingredients (particularly those things we use each time we bake a cake or make a batch of biscuits) we should know where they come from. What started out as a simple exercise to research the top supermarket and independent brands best suited for making pastry at home has turned into a little bit of an obsession. So let me start at the beginning. I have found the lack of information about the wheat we grow and the manner in which we manufacture our flour in this country frustrating to say the least. Whilst we become more educated in terms of the range of flour available to us (semolina, “00”, spelt etc) we, well I, still don’t know very much about wheat varietals and production methods for the everyday plain and self-raising flours used in baking. This country’s largest producer of flour and probably the most recognisable brand was not able to provide me with any detail about the variety of wheat they use to product their range of flours only to say it was “definitely NOT GM” and definitely Australian. Without conducting extensive research, in Australia, we only appear to grow a small number of wheat varieties for mass production (mainly hard wheat) and the variety of soft wheat grown seems destined for wholesale and is not available in the local supermarket. Simply put, when we buy plain flour from the supermarket we are generally purchasing one variety of wheat, with slight variations. After taking my time to do as much research as I could I am still confused as to why we seem to be able to get 4 varieties of “plain” flour for use at school but not for the home. 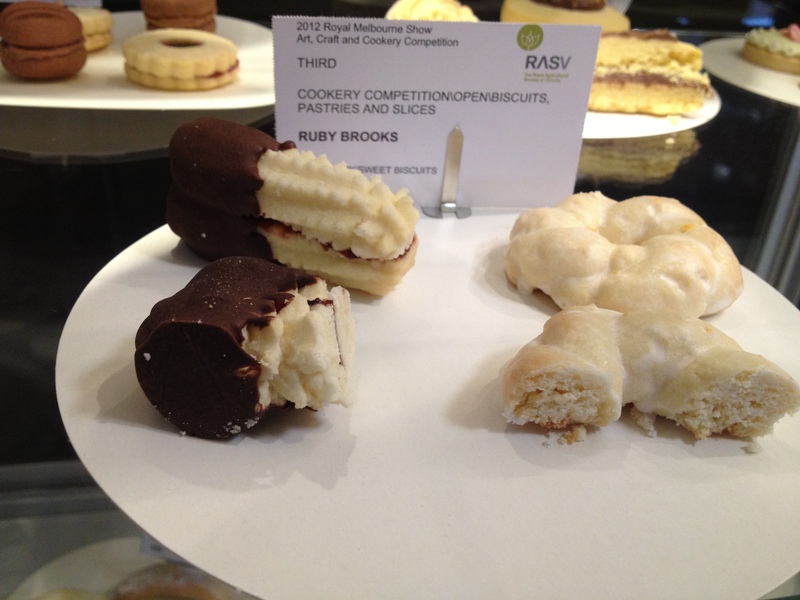 The other reason I wanted to write this post to explain in a little more detail the chemistry that exists in pastry. Ok, you probably all know this stuff anyway, hard flour contains more gluten and gluten is what makes something “doughy”, to use the simplest of terms. 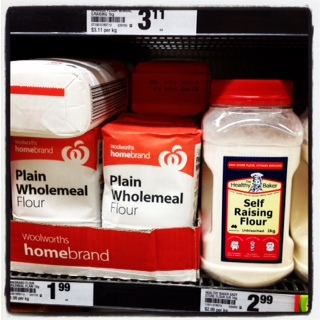 I guess I’m trying to make it easy for you to identify when you are buying flour which brands are the best for what. 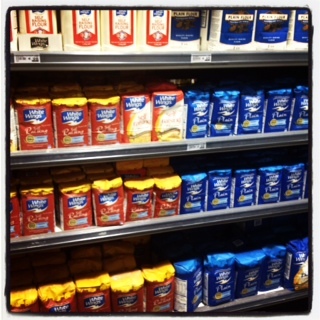 Whilst it is possible to buy flour that is derived from a special crop, say for instance spelt, from your smaller independent grocers, most often it is the local independent supermarket or one of the bigger supermarket chains where you will be buying your every plain and self-raising, most of which stock the same brands. The best place to start so we are all on an even playing field is to provide the briefest description of how flour is made. We all know that flour is most commonly made from wheat right? In some markets (Germany & France), the different varieties available are labeled according to the ash mass (“mineral content”) that remains after a sample of wheat grain is incinerated. The mineral content of the starchy endosperm (the inner part of the grain) is much lower than that of the outer parts of the grain which are burned off. So we know that flour made from all parts of the grain leaves about 2 g ash or more per 100 g dry flour. Plain white flour leaves only about 0.4 g.
For those of you that may have lived or are from Europe or even the States you will identify with the fact you grow different types of wheat and burn of varying degrees of the outer parts of the grain provide you with a range of plain flours to choose from. We don’t have this variety in Australia. 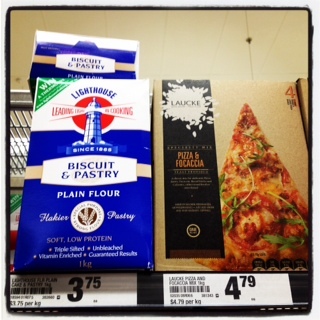 Outside Europe the ash mass is only rarely given on the label by flour manufacturers, in Australia not at all. However, the legally required standard nutrition label specifies the protein content of the flour, which is also a way for comparing the extraction rates of different available flour types. So without going into details, cause frankly I don’t have them We now know that there are different varieties of grain ranging from hard to soft and different ash contents. Here in Australia there is not a granular (pardon the pun) level of product available but YES there is a difference between brands. What makes each of these flour brands different is the amount of gluten or protein they contain. Ok, bear with me, it’s a teeny bit scientific, but it will be useful I promise. “Gluten is a protein composite found in foods processed from wheat and related grain species, including barley and rye.” It is what provides elasticity and structure and particularly with bread, gives it that chewy texture after it’s been baked. So in cakes/tarts/pastries etc the flour component provides the body (crumb) and structural support, protein through coagulation and starch through gelatinisation. 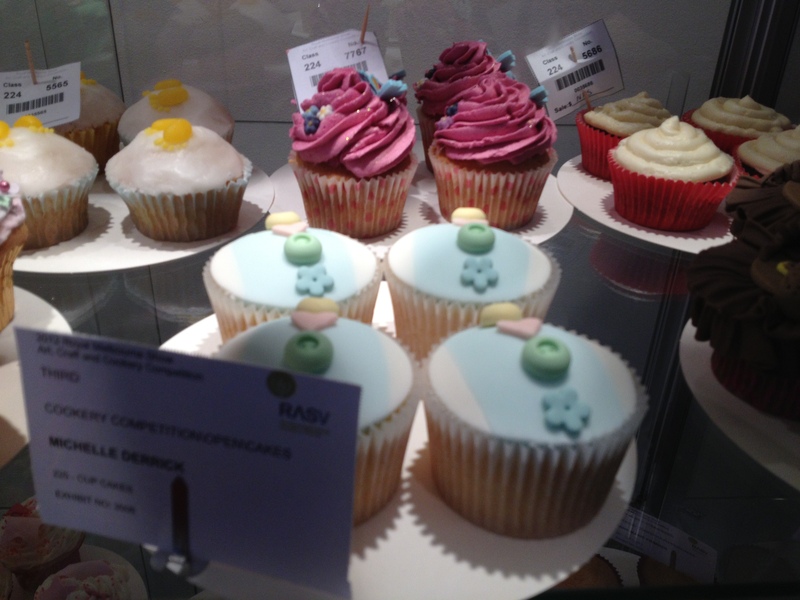 Little or no gluten development is what you want when making a cake, gluten will toughen the cake. However, when you are making breads you want it to be chewy and tougher, so a higher gluten/protein content is desirable. 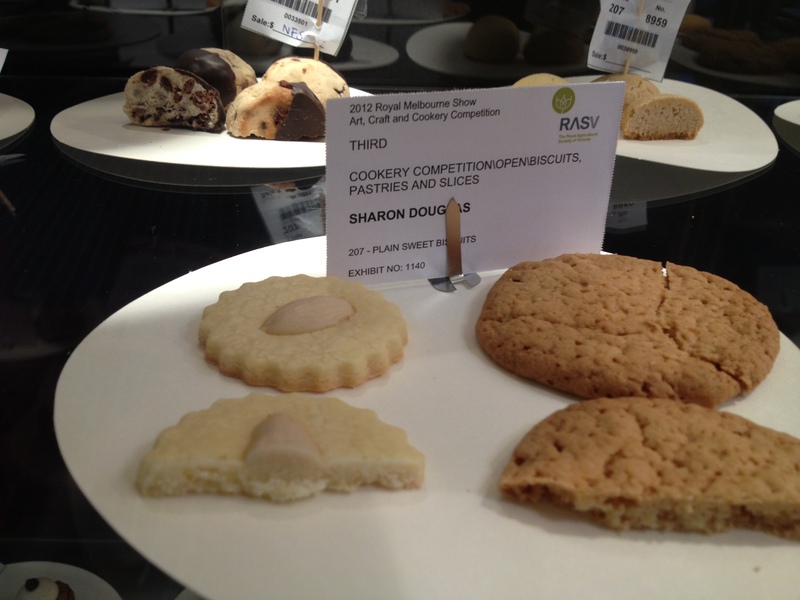 This is why selecting the right flour for the end product is key. Bread & pasta flours is different altogether, here I’m focusing on the “softest” flour with least amount of protein. At the highest level flour can be broken up into Bleached or unbleached, plain and/or self-raising. You know that the colour of flour is not meant to be bright white yeah? Here’s a link to Wikipedia so you can read a bit more about what actually happens to get flour the colour that it is. I mean, do you need your flour whitened? Read More. Normally used for making cakes, however you can get just as good results using Plain Flour (what we most commonly use and the most readily available to the general public.) Soft Flour or Cake Flour have lower gluten content around 7-8.5gm per kilogram. 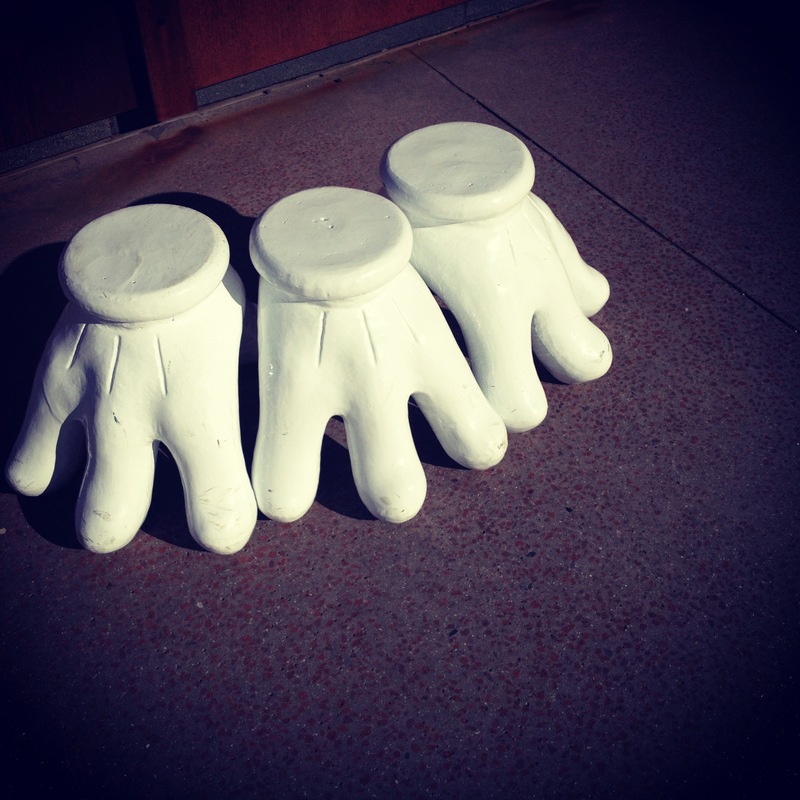 A finely milled soft flour, bleached and chlorinated. The bleaching treatment to which the flour is subjected tenderises the gluten and the finer grains allow more moisture to be carried than would be allowable by a “normal” soft flour. This type of flour is used to make high-volume cakes and pastries. 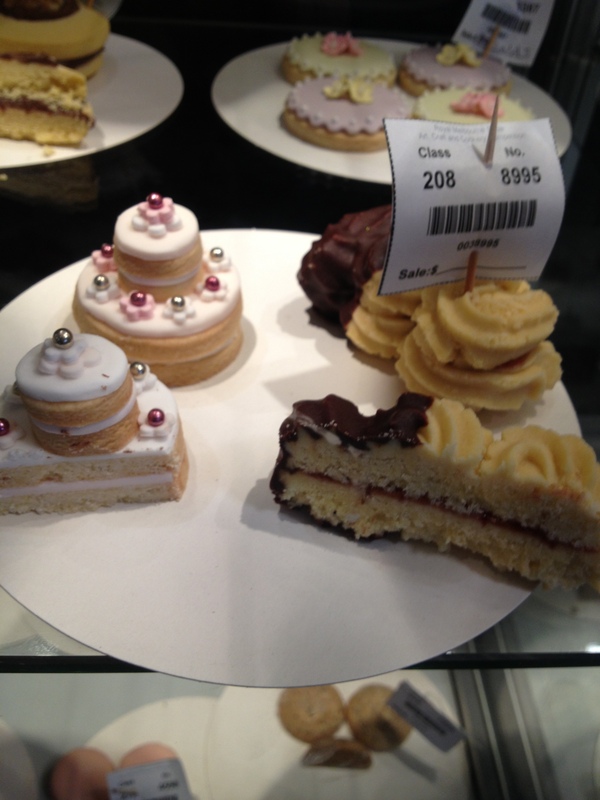 Think your chain supermarket cakes and some “high-street” patisseries. 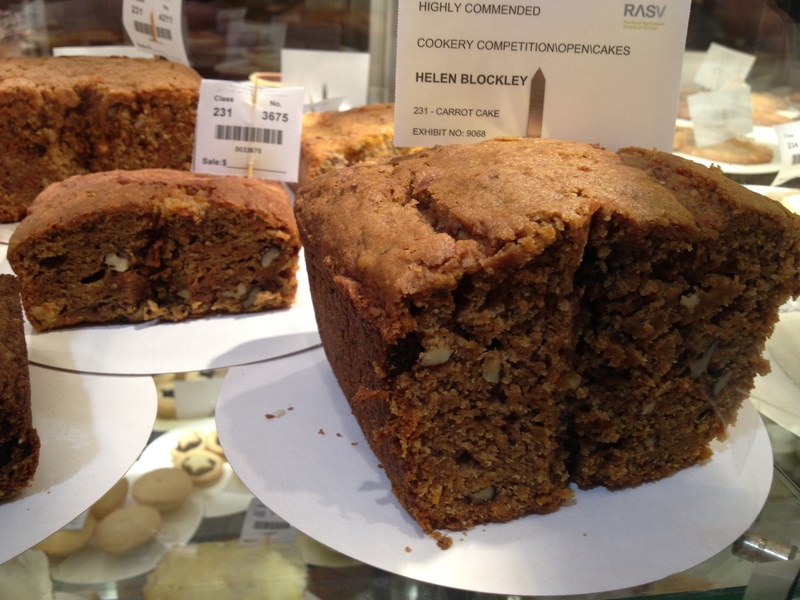 Not to be confused with flour used for making bread, you would only use this type of flour in cakes that require a stronger structure, for example a fruit cake. It is a stronger flour by way of its higher gluten content, so shouldn’t be used in say a sponge, but it’s still used for making cakes. 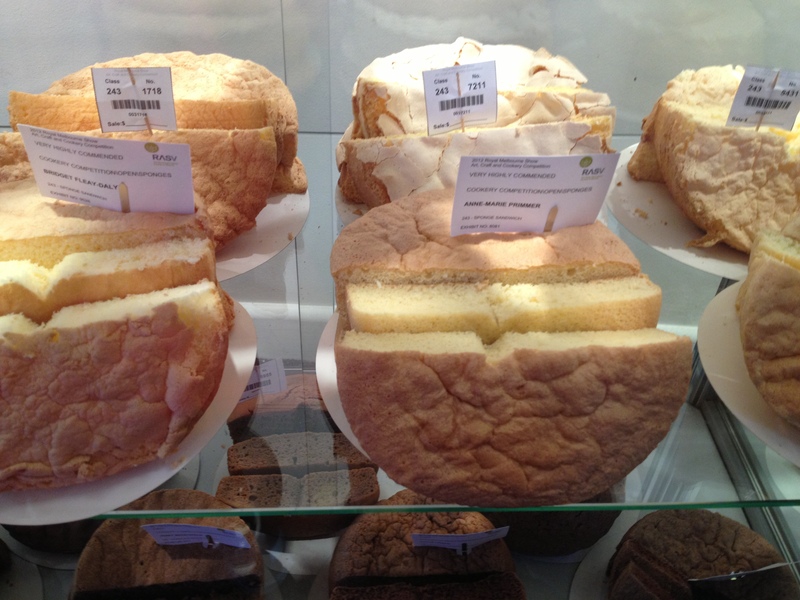 The other important thing to keep in mind, as per my previous post, is the important role fat plays in making cakes and pastries. 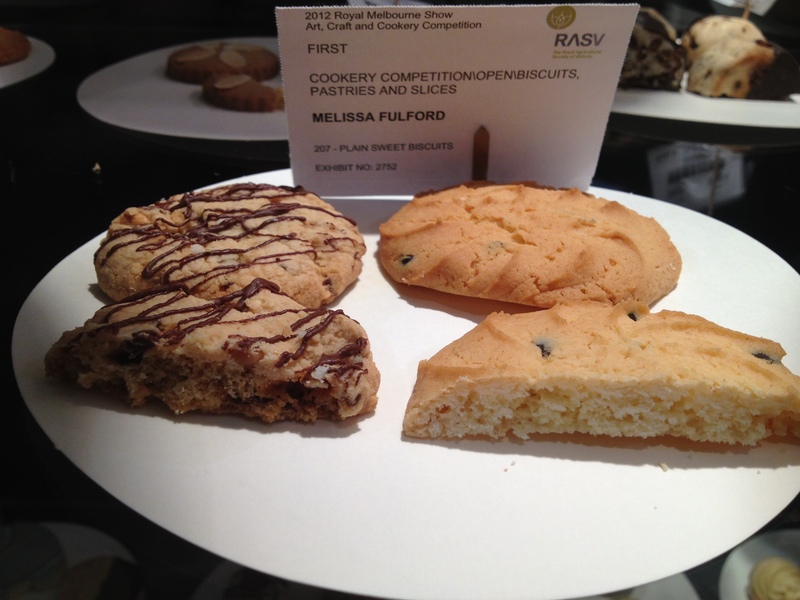 Whether you are using butter, margarine or nuttelex (if vegan) fat affects gluten development. 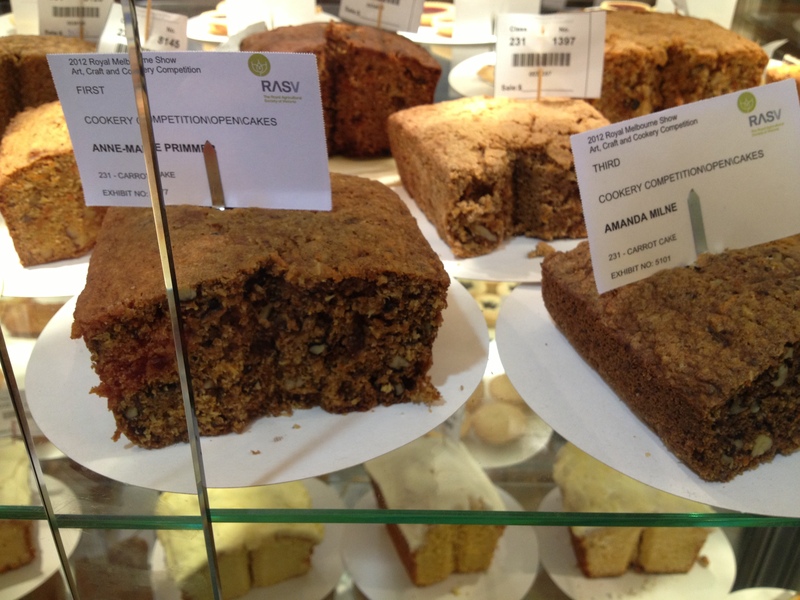 It’s not just about flavour, in baking, ingredients are generally there for a reason. 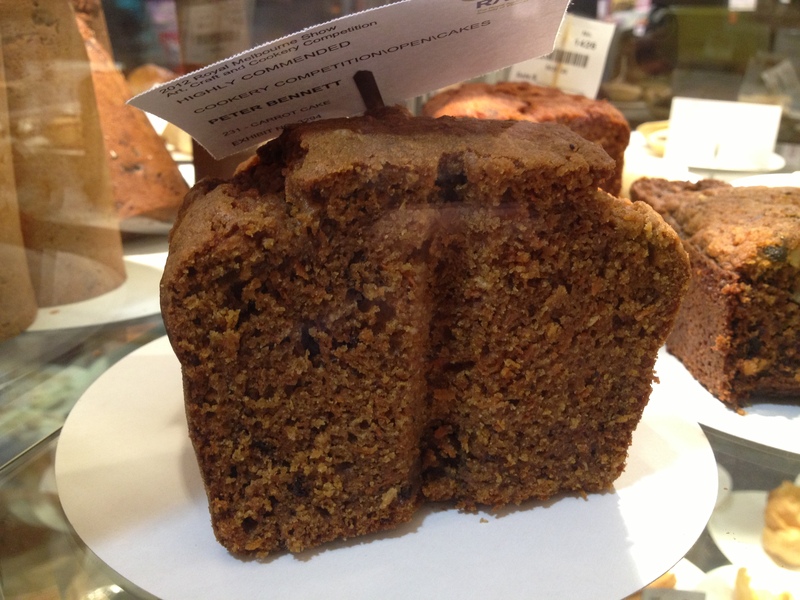 Fat shortens the crumb, so it provides a softer cake. It obviously enrichens cake and also adds to shelf life. When you make a shortcrust pastry the method of “rubbing” the butter into the flour means that you are coating the flour particles in fat which stops gluten from forming, that is why you are always told to never “over-work” pastry, the more you work it the more gluten will be produced and the less crisp your end result. So when you are making bread, continued kneading is appropriate because you want to work the gluten and add elasticity to the finished product. 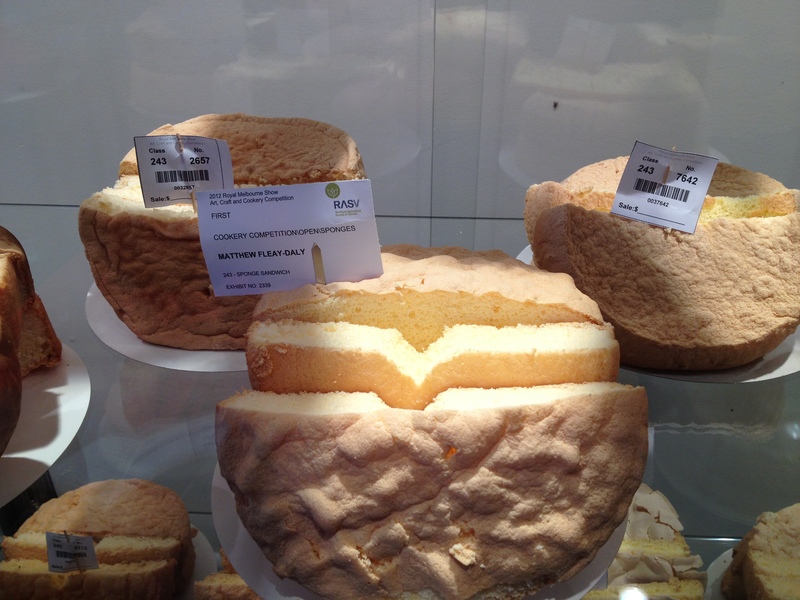 A quick note on “supermarket” cakes. 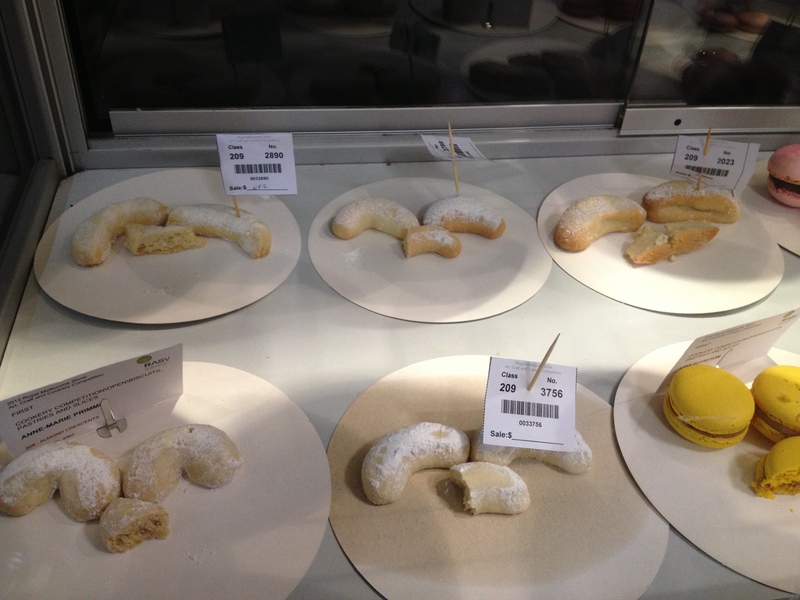 Cakes made in a supermarket don’t generally get made using a separate set of ingredients like we would use at home i.e. 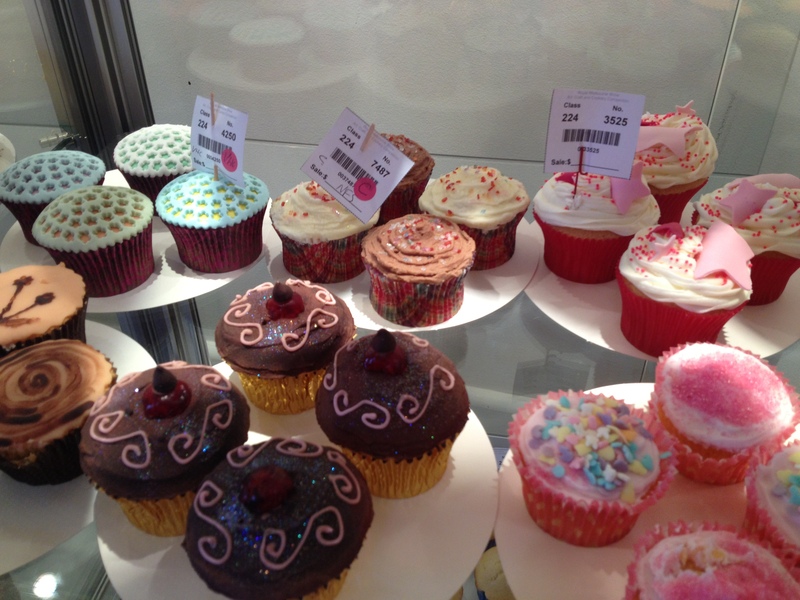 butter, flour, milk, eggs, they are called emulsified or stabilised cakes. They are made using an assortment of ingredients that have additives such as stabilizers and emulsifiers which means they can be made by adding all the dry ingredients at once then simply adding water, that’s right no butter or eggs. They have a longer shelf-life because of the additives, and as just mentioned no fresh ingredients. Emulsifiers and stabilizers are available in powder and paste forms and the majority of them mare based on lecithin and lacto albumen, these emulsifiers enable normally incompatible substances such as water and fat from an egg yolk to combine and form an emulsion. 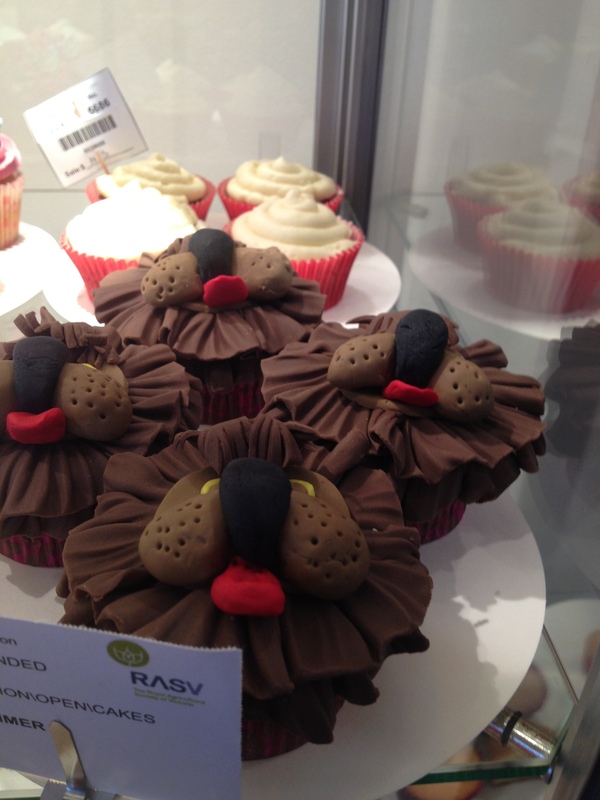 I’ll leave it to you to decide whether to purchase and eat these cakes, or make one yourself. 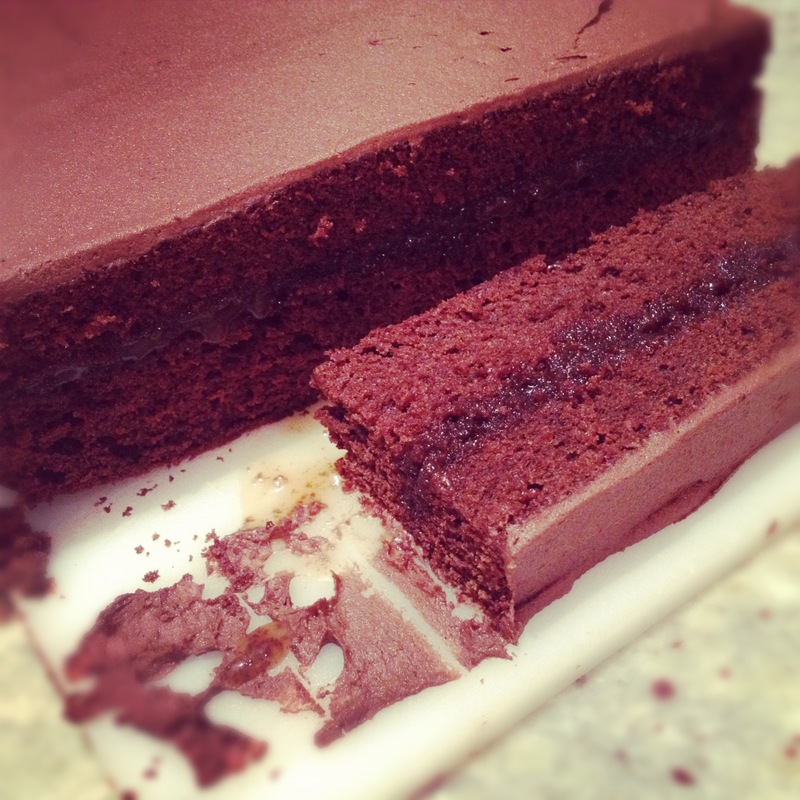 The cake in the picture above is a chocolate cake from the Bourke Street Bakery cookbook, thanks go to EssjayEats for providing me with the recipe. Its a “real” cake and I rate it as one of the best chocolate cakes ever. So that brings me to what is readily available in our Australian Supermarkets and Deli’s. The following is a list of the most widely available flour brands and their protein content. I wrote to both White Wings (Goodmanfielder) & Lion/Lighthouse as the two biggest Australian manufacturers and only White Wings replied. Probably the most recognisable brand and the brand that takes up more space on the shelves in both major and independent supermarkets. 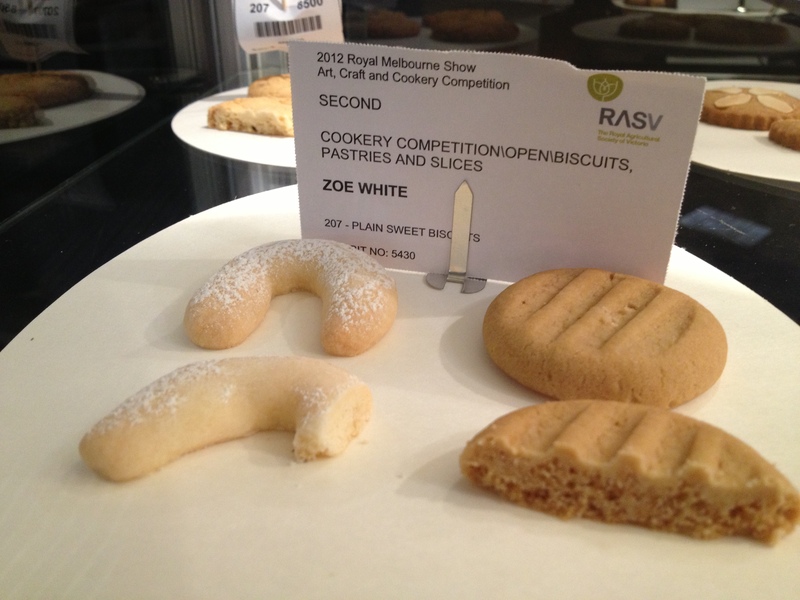 White Wings is an Australian company originating here in Victoria. They commenced milling flour in 1898 and have recently launched a range of packaging that includes recipes by Donna Hay, their products were also apparently given the CWA seal of approval in 2009. White Wings range includes: plain, self-raising, organic plain, organic self-raising, wholemeal plain, wholemeal self-raising, gluten free plain, gluten free organic. White Wings Plain flour has 9.5gm of protein per serving. In terms of the Gluten Free product, it is made from maize as opposed to wheat, it still has 3.8gm protein which provides structure. Using this type of flour does not provide a softer crumb or shorter shortcrust even though it has a smaller protein content. An Australian brand located in Fremantle. Anchor make the Lighthouse & Lion brand of flours. 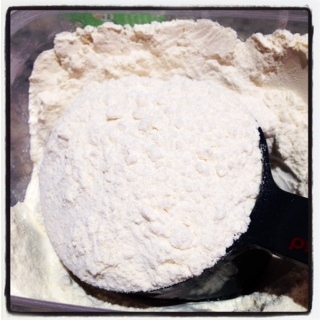 The Lighthouse plain flour is sifted three times to ensure it’s lighter and aerated for baking. There is a line of “Traditional” flours in both brands, Plain and Self-Raising flours and both have the lowest protein per 1000gm (1kg) compared to other brands on the market at 7.7gm. There is also a line of “Speciality” products under the Lighthouse brand, these include: wholemeal plan and self-raising, organic plain and self raising, bread and pizza plain, Vitalextra+ (a flour with enriched fibre, folate, vitamin B and Iron), Cake, Pastry and Biscuit plain and self raising (a low protein soft flour with only 6.3% protein) and Tip “00” flour for noodles and pasta. Lion is by far my favourite brand and I personally think it’s the best for making cakes etc at home. It is the closest I’ve seen to the “cake” flour I use in the kitchen at school, I can feel how soft it is. 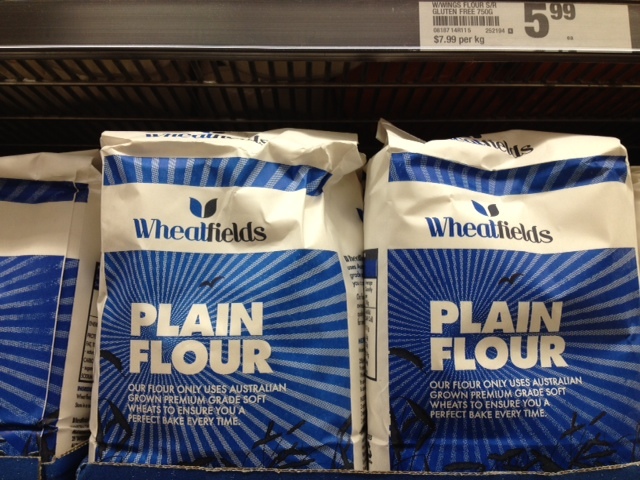 A range of Plain, Self-Raising and wholemeal flours and a budget price. 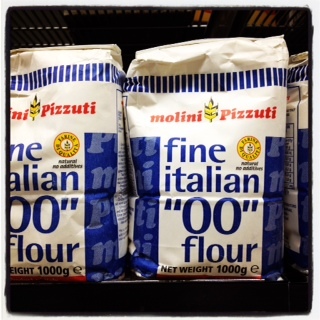 The plain flour contains a whopping 10.3gm protein. 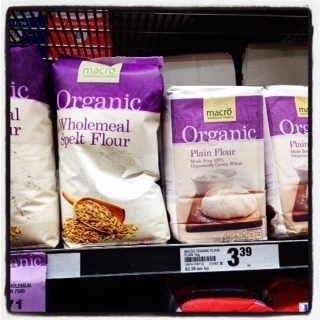 I’ve just recently noticed the Woolworths “Macro” brand taking up shelf space with it’s organic and Spelt range. 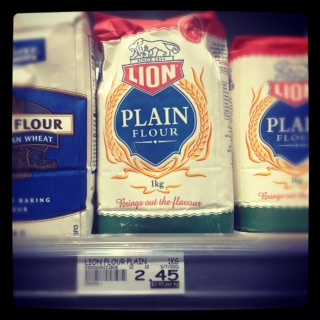 The plain flour has only 5.7gm protein. I can’t find out much more about this flour, it’s label claims that it’s made from a soft wheat but it still has 10.1gm of protein per kilo, so it’s not the softest on the shelf. 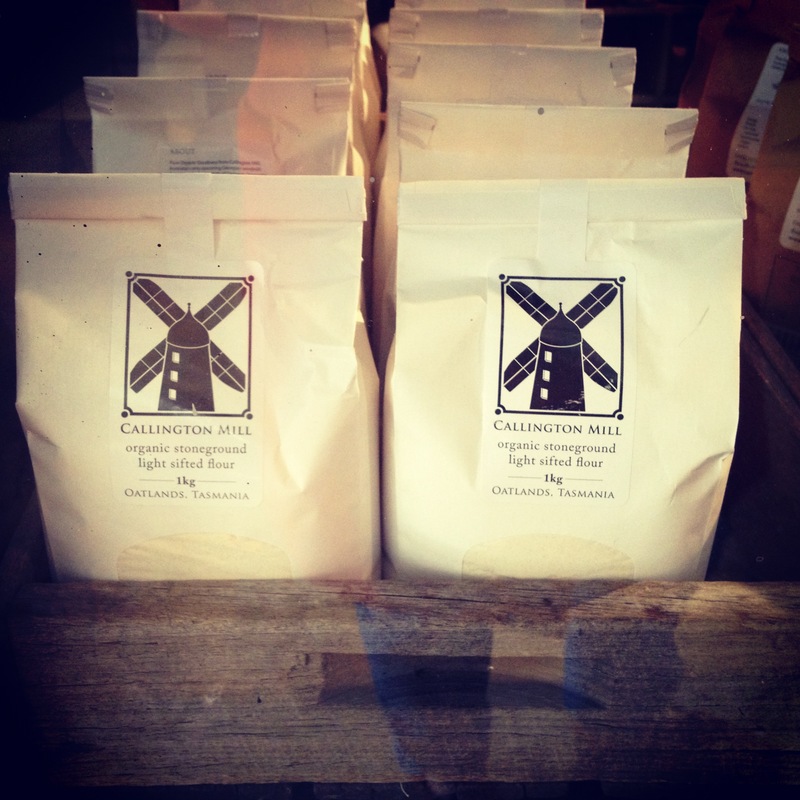 This flour comes from one of Australia’s largest mills, Manildra Mill in NSW. 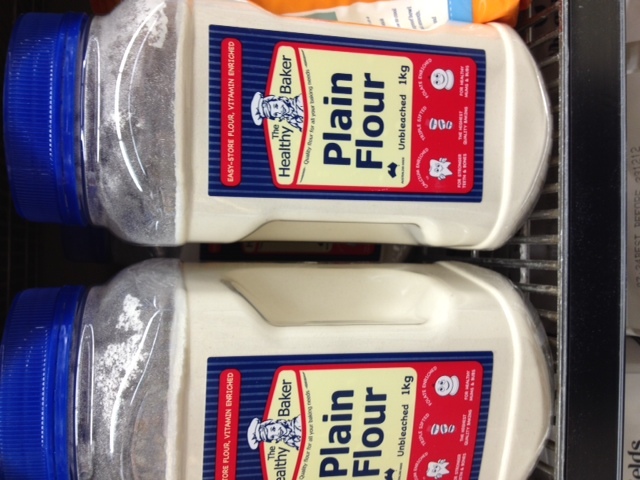 This flour’s point of difference, and I’m guessing why it’s “healthy” is that is has added vitamins. Not sure about that but it has 10.1gm of protein per kilogram. I have no picture nor any information to offer, I suspect the protein content would be around 10gm or even higher as per Woolworths home brand product. 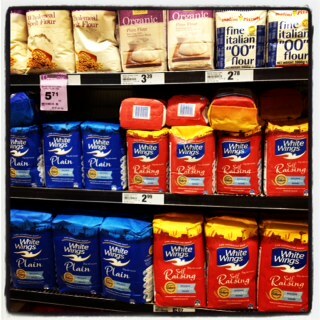 You see, I never go to Coles and didn’t realise that until I wrote this post! In the interest of getting it published I’ll let you tell me about the Home Brand flour. 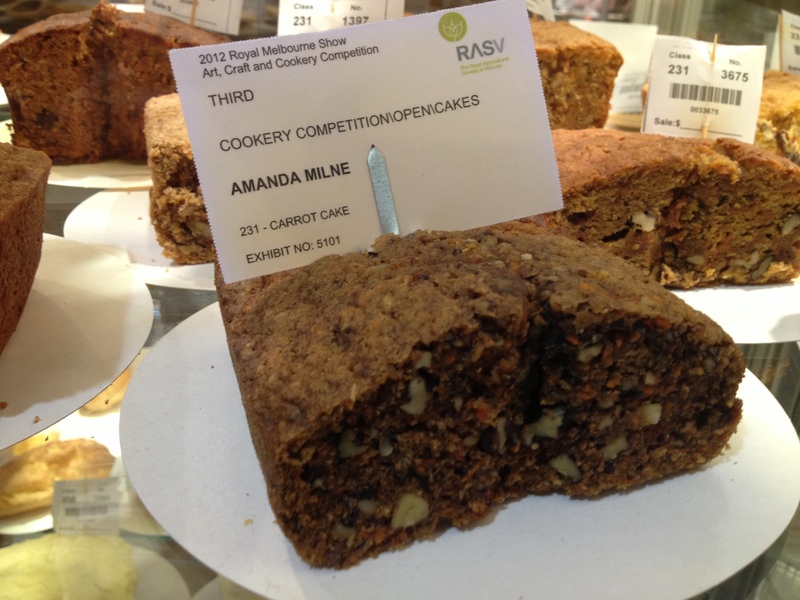 William Angliss probably has what I can only imagine is one of the biggest contracts when it comes to flour in Melbourne. The current contract is with Allied Mills, you know the iconic mill that borders Kensington & North Melbourne. They supply a “soft” cake flour, “medium” (equivalent being the plain flour you get in a supermarket), HIGH-RATIO flour and bread flours to the school. I asked for access to the mill but was refused. I’ve asked lots of the Pastry Chef’s & Bakers at school about this topic and to be honest have come up empty handed in terms of further information. I’m starting to think I’m a bit mad and the only person kind of really into this. If you have any other information or resources you think I might find either interesting or useful please let me know. If a picture tells a thousand words then I happily start this post with the picture above, behold the New England lobster roll. I had heard much and seen much and discussed these rolls much, now was finally my opportunity to try them for myself. Were they worth the wait, absolutely, did they deliver on flavour, yes. What I wasn’t really prepared for was how incredible they actually look, believe me if every sandwich/roll/protein wrapped in carbs looked like this my childhood would have been vastly different (I’m recalling that soggy cheese and tomato number that haunts me til this day). It’s a perfectly balanced combination of fresh poached crayfish, kewpie mayonnaise, cress and the crunch of the roll (which is most definitely not a brioche but another sort of sweet yeast) toasted and brushed with what I can only imagine is butter. 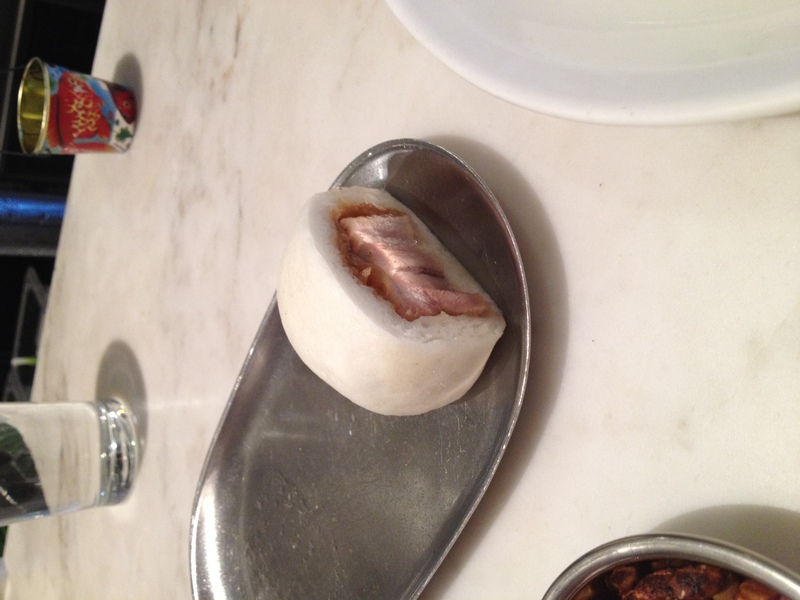 We then moved on to the equally revered rustic pork buns, served with Shanghai chilli vinegar. The bun itself was pillowy and soft the pork sticky and unctuous balanced by the sour chilli hit of the dipping vinegar. 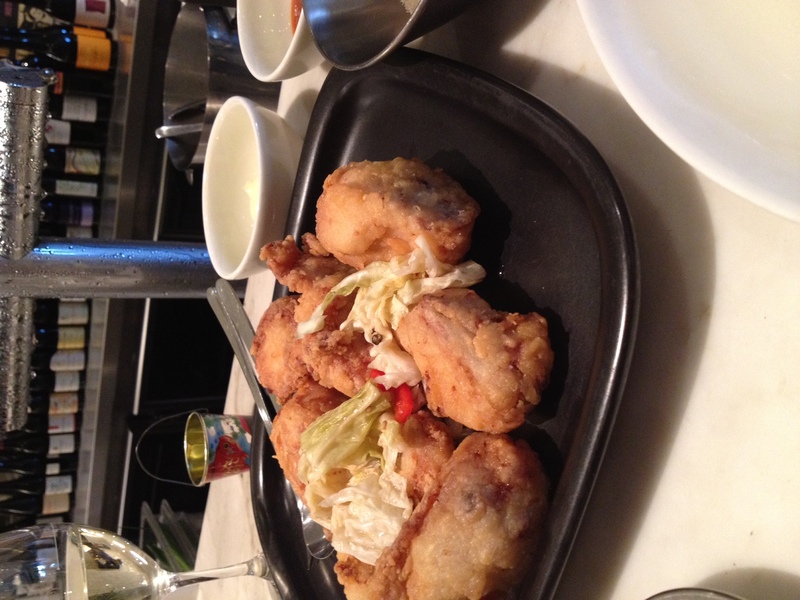 Our main course was fried chicken served with kimchi and a selection of accompaniments, including kewpie, sriracha and another dipping sauce who’s name I can recall (a sour chilli ginger concoction – it was delicious). The chicken pieces were crunchy and the flesh succulent. This is a Wednesday only special. 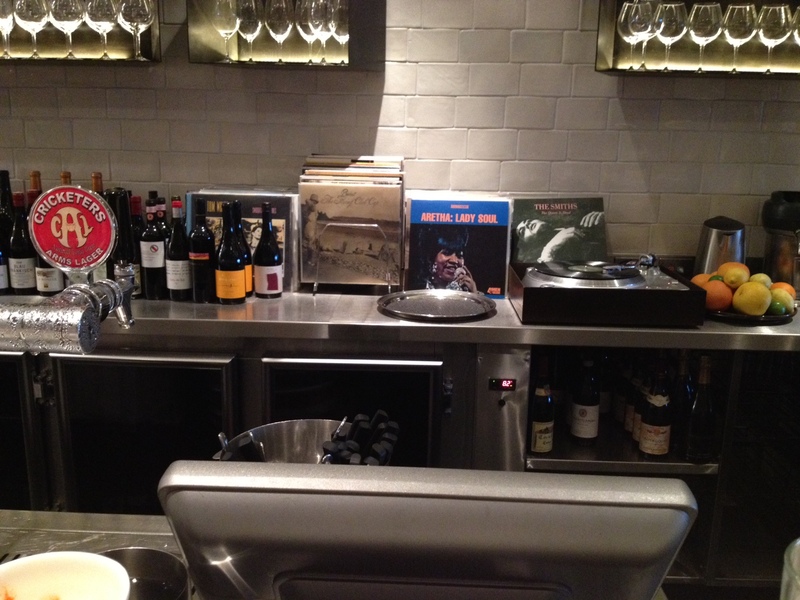 With all the discussion about restaurants that don’t take bookings, we were lucky enough to secure a seat at the bar which allowed us this view, that selection of records endeared the place to me even more so, just behind The Smiths album was The Cure “Boys Don’t Cry” as a child of the 80’s I was loving this without the irony of a Gen Y hipster. 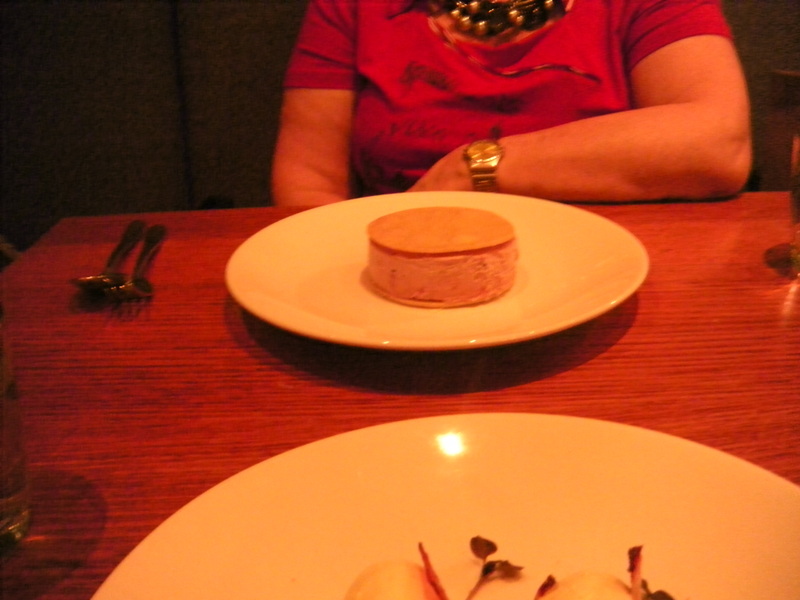 The service was incredibly efficient and unobtrusive, everything hummed like clockwork, which I find is a stand-out to the success of Andrew McConnell’s other restaurants Cumulus Inc and Cutler & Co. I liked that turntable as much as I liked the gold boot roller-skate sitting above it (out of picture). The space is clean and minimal with a slighty 70’s vibe. The lighting makes it feel warm and was turned down later in the evening to create a cosy atmosphere that reminded me of the lighting at Cutler & Co, lowlit and moody. Whoever does the hiring has done a stellar job, the staff were very affable as well as knowledgeable. For my first review of the year I’d say I’ve set the bar quite high, this goes into my instant classics much like that vinyl. 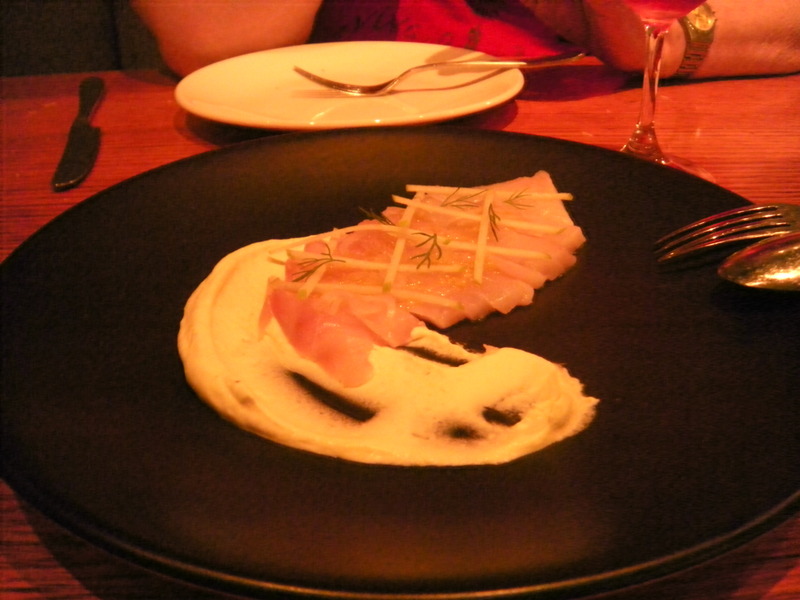 We drank 2010 Yarraloch Arneis, Yarra Valley and finished the meal with a glass of Beaumes-de-Venise muscat from France. 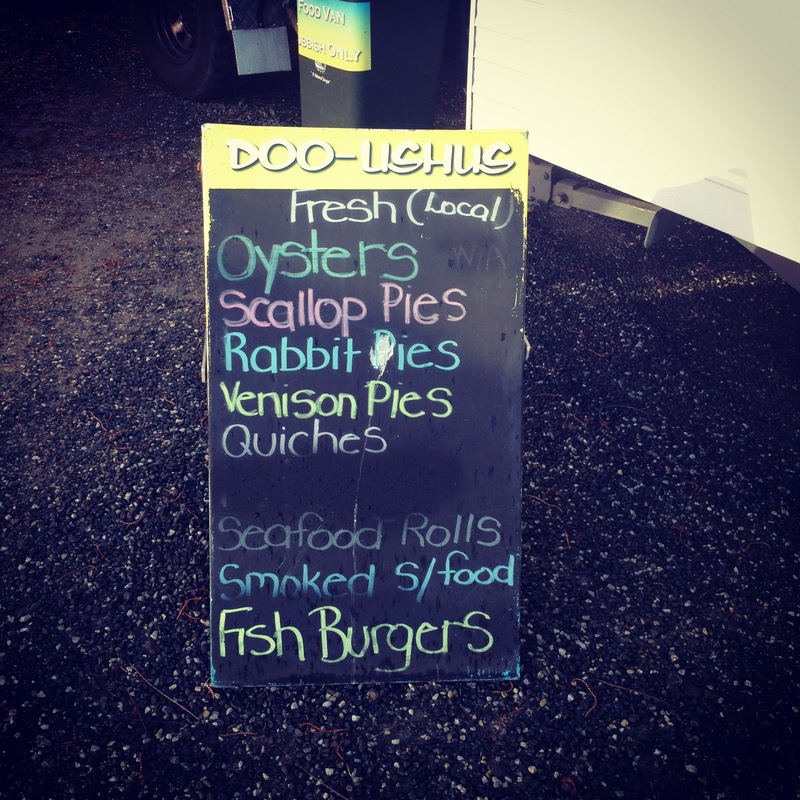 Open 7days 12noon – 11pm. Huxtable, where to start. I am not sure what it is about this place that appeals to me so much, in fact I’d go as far as to say if I could I’d eat at Huxtable at least once a week (and there are people I’m certain that do), I would. It’s a compact space, with a reasonably relaxed vibe. Tables are quite closely spaced together and I like the retro 70’s vibe with comfy brown leather swivel chairs. 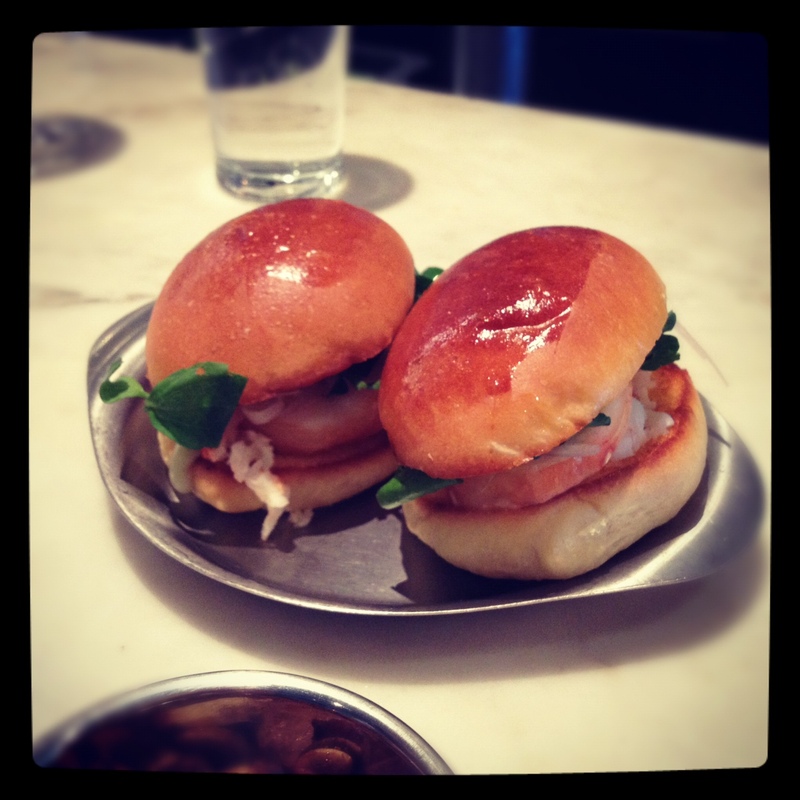 Huxtable serves Breakfast (weekends only), Lunch and Dinner and the menu is designed to share. Broken up into Bites then slightly larger plates, Sea, Land and Earth, it is the perfect place to have a glass of wine and share some snacks, in fact there is nothing on the menu I wouldn’t be happy eating, that is a pretty rare thing. 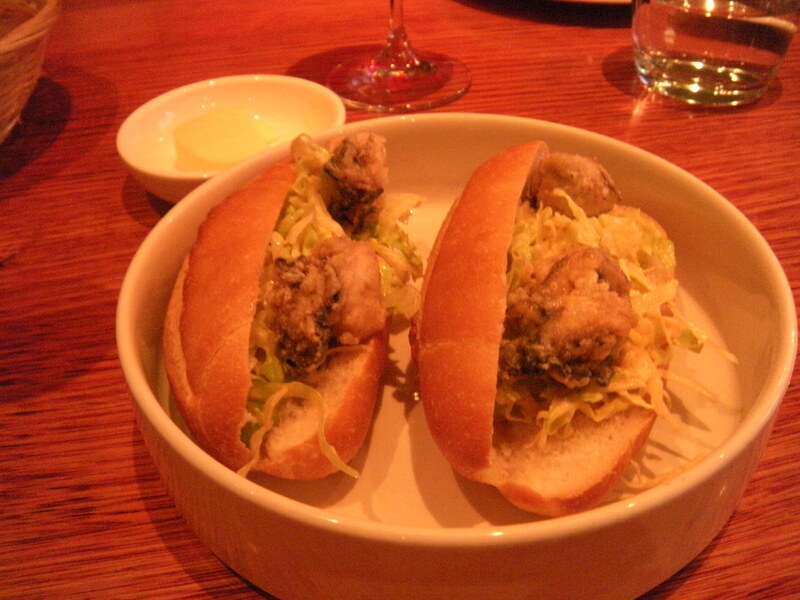 We started this evening with my absolute favourite, rice flour crusted oyster po’boy with iceberg lettuce and sriracha mayo. Whilst I have seen this roll bandied around as one of a cluster of rolls named “dude food”, forget your culinary catch phrase’s this just tastes good and I’m no dude. Soft white roll containing two perfectly deep fried oysters in a light crust on a bed of shredded iceberg and that chilli mayo. 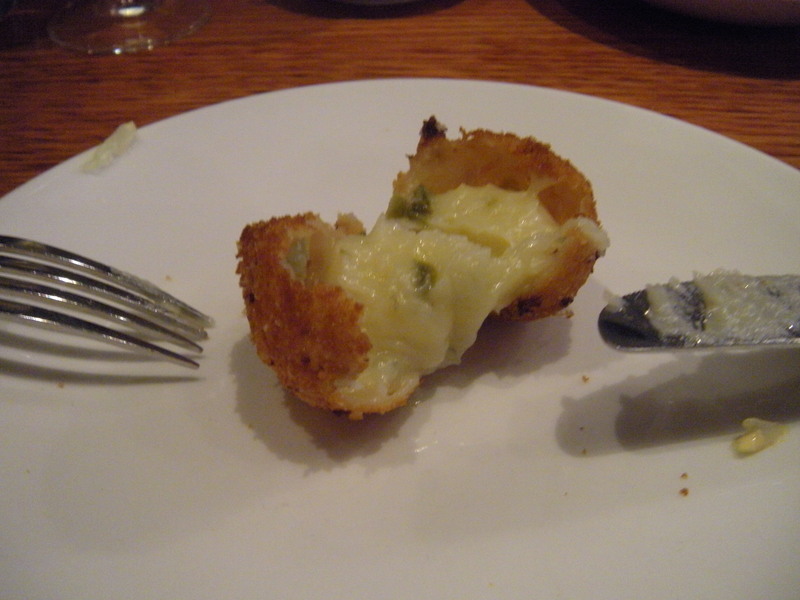 Next we had the jalapeno and cheddar croquette, crunchy outer shell reveals an interior of molten cheese with the jalapeno kick. 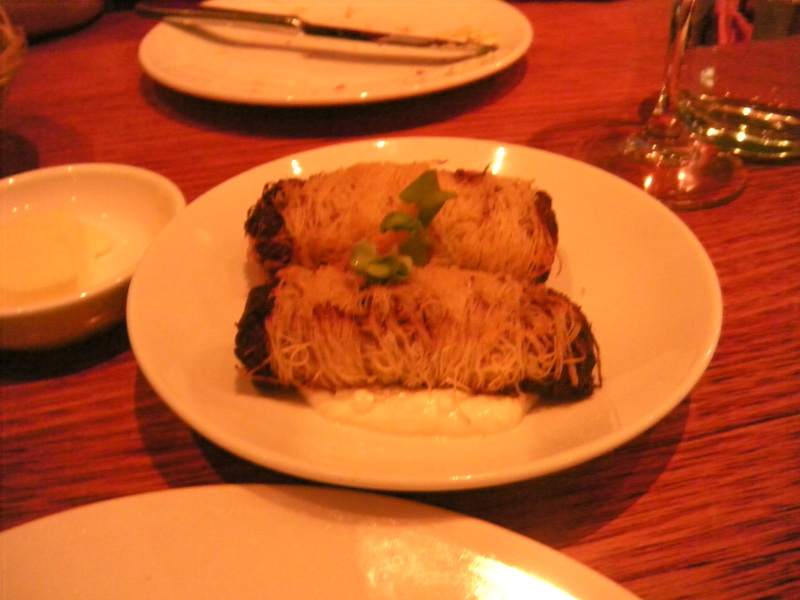 Moving from the Deep South to something a little Greek inspired, crisp filo log of lamb puttanesca with lemon yoghurt. A crunchy outer layer of filo reveals slow cooked lamb with a wonderful rich depth of flavour perfectly off-set by the tangy yoghurt sauce. We also shared kingfish sashimi with horseradish, apple & dill and the shaved fennel, pomegranate, goats cheese, blood orange & herb salad (not pictured.) The kingfish was beautifully fresh and I particularly liked the presentation with the precision cut batons of apple criss-crossed across the top of the fish. 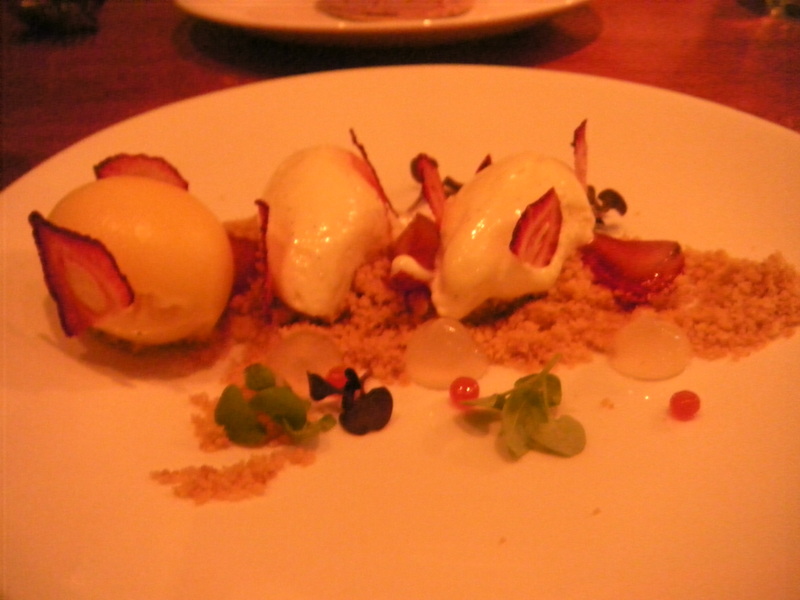 For dessert I had the crème fraîche cheesecake with dehydrated & fresh strawberries, citrus crumbs and mango sorbet, a kind of deconstructed take on the traditional cheesecake, I loved the presentation and the flavour was light and tangy. I think a more buttery type crumble would have been just as pleasing as the citrus. My dining companion had the ice cream and fudge sandwich, which during our visit was a raspberry ice-cream with white chocolate fudge. It was sweet but not overly so and the sandwich itself was ultra thin, crunchy and buttery. Service was efficient and not overly fussy or intrusive. The space is not large, so bookings are advised, though there is seating on the sidewalk out the front which would be perfect on a Summer evening. Huxtable firmly sits in my stable of favourite go to places and as I said there is not a thing on that menu I wouldn’t be happy to eat. 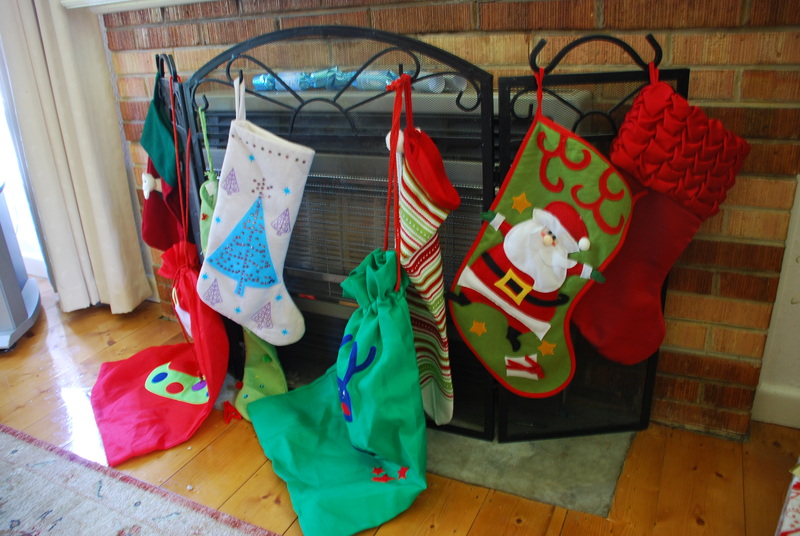 “And the stockings were hung by the chimney with care”…. and so I get ready for what is definitely my favourite food time of the year, if only because I can drink champagne at breakfast. I am going to cover all my traditional fare over a number of posts, and whilst they may not give inspiration for this year, this baked chocolate tart recipe is something you could still slip onto the menu for Christmas Day. This is my Christmas tradition, every Christmas Day I serve this chocolate tart, it’s my husbands favourite and I’m happy to make it for him. This year I’m serving it with home-made vanilla bean ice-cream. 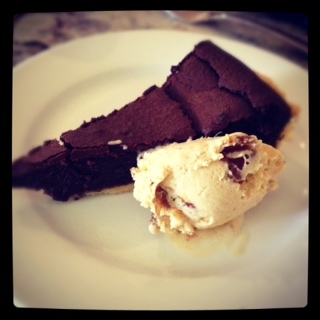 Another post required on my recent adventures with making ice-cream at home, successfully I might add! I have included my favourite short crust pastry recipe, but if you have a particular favourite that you always use, go for it. I would say that an un-sweetened pastry works better just because the filling for this tart is so rich. This is easy and spectacular and be warned the top of the tart cracks when it’s near to its cooking time, don’t be alarmed this is what is meant to happen. Please wait at least 45mins or so before serving, so you could always make it the day before. Apologies, I only have very dodgy pictures of the tart so I’ll retrospectively adjust this post. Sift dry ingredients onto clean/dry work surface. Add cubed butter and rub into the flour, not in the manner where you would make a crumble, but enough so that the flour particles are coated. Make a well in the centre and pour in cold water, using a pastry scraper smear the mixture across the bench incorporating everything without over-mixing. When it comes together pat into a disk and wrap in clingfilm and let rest in the fridge for about 1 hour. There will still be buttery parts in amongst the pastry, that is good. Roll out pastry to about 2cm, using lots of flour to ensure it doesn’t stick to the bench. Use your rolling pin to roll the pastry and drap over a tart tin (I use the larger size.) Gently press the pastry into the tart case, ensuring it is even and not thick in corners. 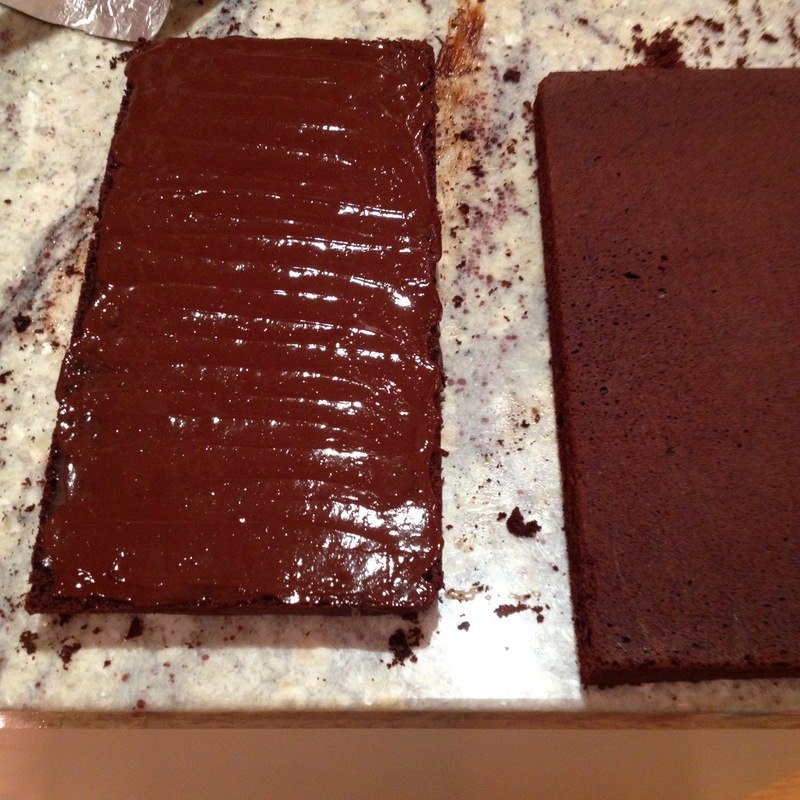 Trim the edges but allow for shrinkage during baking, so leave a 1/2 centimetre or so above the tart case rim. Place back in the freezer or fridge for another 30-40mins before blind baking. To Blind Bake place a piece of greaseproof paper over the tart and weigh it down with either rice or pastry weights, place in a preheated oven at about 200 degrees for 15mins and then uncover and bake for a further 5mins. Place butter, chocolate, cocoa and salt in a bowl over just simmering water. Allow to melt and stir gently occasionally. Beat eggs and sugar until light and creamed add golden syrup and either the creme fraiche or sour cream. Stir in the chocolate mixture and mix well to combine. Pour into prepared tart case and bake in pre-heated oven at 150degrees for 40-45mins (as mentioned the top cracks, that is normal.) Allow to cool for at 45mins prior to serving. 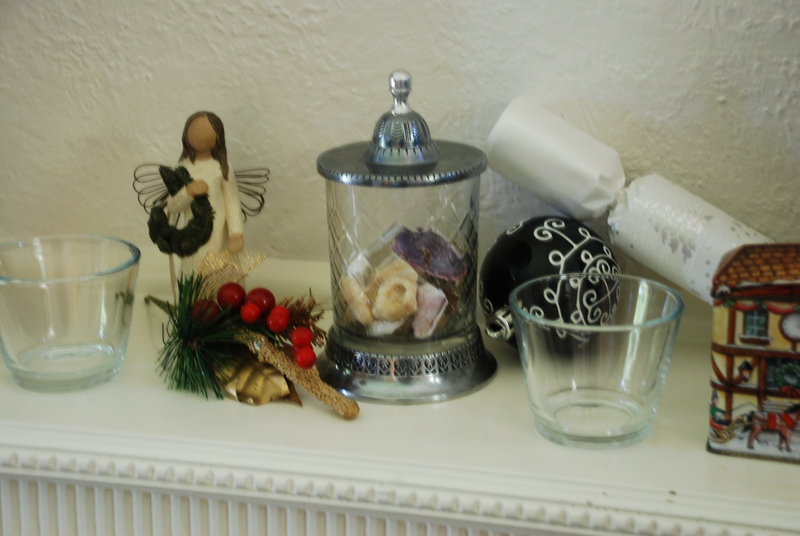 Hope you have a lovely Christmas, with lots of yummy food and drink. 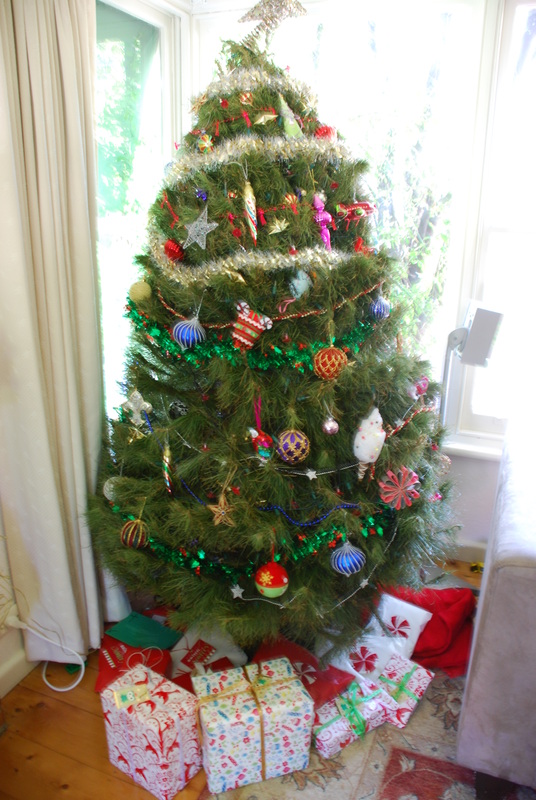 Actually, looks like the Christmas Tree is already a bit squiffy, check out the star all askew at the top! The Aylesbury Rooftop Bar & Restaurant is owned by Jesse and Vanessa Gerner, the same couple who own Anada Restaurant on Gertrude St. Over two levels, downstairs the restaurant and upstairs the bar. It is that bar upstairs that I want to focus on. To get upstairs you take a short elevator ride and come up through some billowy draped curtains to face the bar. To the right is obligatory bathrooms and to the left is the outdoor rooftop. Apologies for the blurry feel to my images, I think I did something to the settings. You are sitting nestled, literally, in amongst the other buildings. I guess this is the appeal of a rooftop bar. Be warned it is a reasonably small space, inside and out, but what it lacks in size is gains in atmosphere. Em, my dining/drinking partner for the night, agreed that this would be an excellent “date-night” spot. City lights, city scape, low lighting inside, all those old clichés that we really love deep down. Having previously had cocktails at Bar Americano, we decided we needed some food with our drinks. 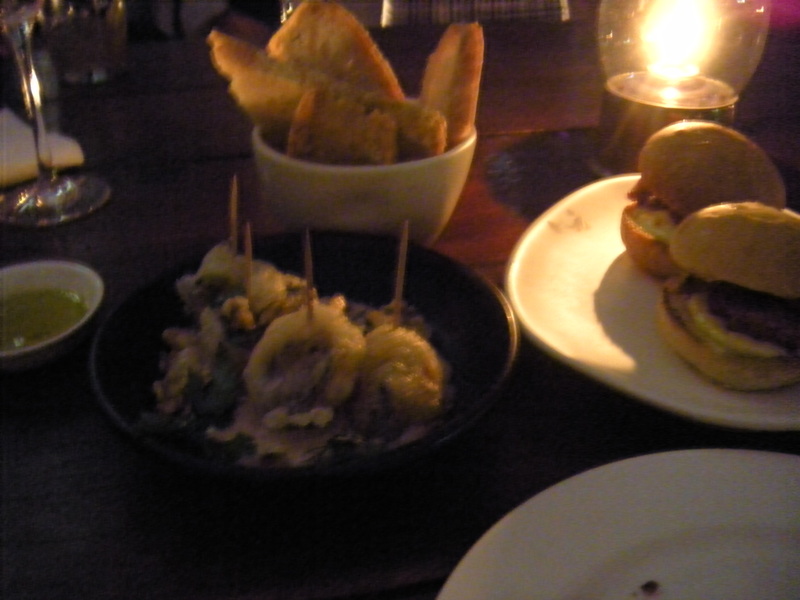 Being a tapas menu and decided to sample a few dishes. We settled on smoked eel croquettes, mussels in tempura batter with walnuts, chorizo sandwiches and slow cook beef with potatoes. The eel croquettes were piping hot and crunchy on the outside and silky on the inside with a lovely smokiness. The chorizo was served liked a miniature burger, a slice of pan-fried chorizo with cheese and other condiments a bit of genius actually (up my sleeve for Christmas party fare). The slow cooked beef had a deep rich flavour and the potatoes perfectly cooked and seasoned, but the stand out for me were the mussels. Fried in a light as a cloud tempura served with an emulsion of what tasted like olive oil, lemon juice, seasoning, flat leaf parsley and walnuts. The flavours were so light and fresh but amply salty. I could have eaten just that dish and been very happy with my lot in life. We shared a half bottle of chardonnay from Chablis, France (I didn’t make note of the vineyard). 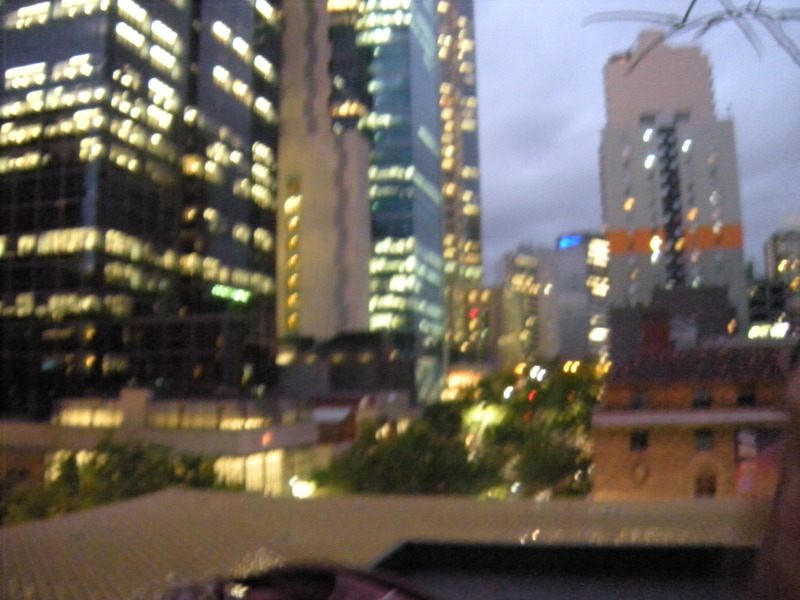 I don’t know that there is much not to like about this rooftop bar, the view is incredible and the size makes you feel the intimacy of being at a friend’s place for a party. The only negatives for me were the service, it seemed a little disjointed, but as this place is new that will probably be ironed out. Whilst we had an attentive waitress, she was unable to describe the ingredients of the mussel dish which we both adored. The wine list is rather small, I expect most people drink by the glass or have a cocktail, but there was no indication on the menu that our Chardonnay was a half bottle, which at $51 was a little on the expensive side. Also worth noting, due to it’s outside nature people can smoke, this might bother some, but I didn’t find intrusive (even being an ex-smoker). The restaurant downstairs was almost full and judging by what we ate upstairs would be well worth a visit. I will definitely be returning to The Aylesbury Rooftop, this week in fact. In the evenings there is a no booking policy apart from groups of six people or more. Tables can be booked for lunch. I’ve previously written about Bar Americano, but only in regard to it’s day time service and coffee. 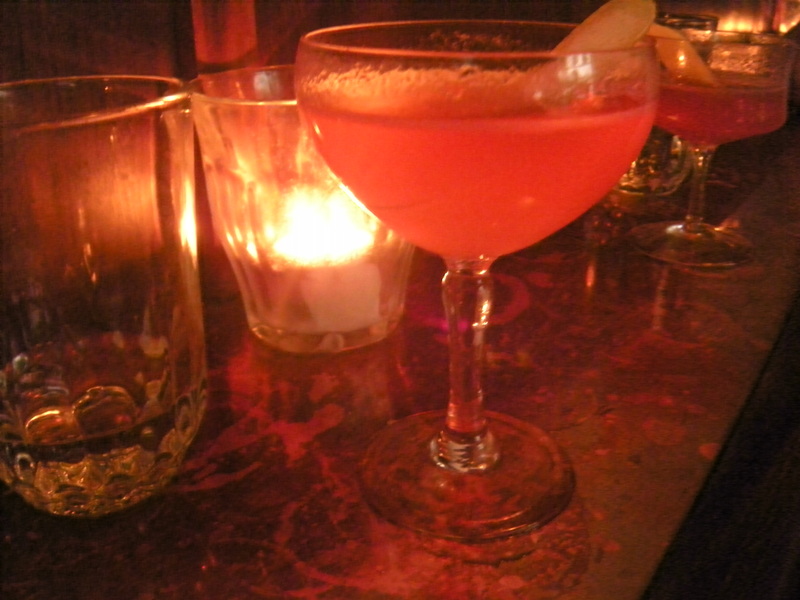 This is just a quick post after a return visit at night to sample cocktails, and sample I did! You can select from the cocktail list on the wall or through consultation have a cocktail made for you based on whether you are after sweet or sour, bitter or citrus perhaps even refreshing, you get the idea. So there is no need to feel you need to be a cocktail/drinks expert. We had three cocktails all of which seemed to be exactly what we wanted, the last “The Jasmine” was my absolute favourite, and one I will include on the list for this Christmas. I love lemon juice in cocktails, loosely I think the other ingredients included gin, Cointreau and Campari. In any case, I like the small old-fashioned glasses and I like the surprise of what each cocktail would taste like. I’ve espoused my love of the location, size and interior decor and I can now espouse my love of the cocktails too. The lovely curly-haired young man working on the night we went was charming and made a damn fine drink. I’ll be back at Bar Americano very soon. Somehow, through my sticky beak nature, I’ve been engaged in a Twitter discussion over the past few days about converting a sponge recipe to make it a chocolate sponge. This weekend will see a “Bake-Off” of sorts, to see who can transform a recipe and come up with a very decent chocolate flavoured sponge. A good sponge is generally a delicate balance of three key ingredients: eggs/flour/sugar and adding cocoa affects the formula. To help those involved this is the information from my “Cake” instructional manual provided by William Angliss. Hope it helps Ladies and any men that want to have a go, happy baking. Cocoa is added to many recipes to make a chocolate variety of the same product. To produce a chocolate sponge 5-12% of the flour is replaced with cocoa powder depending on the strength of the flavour required. 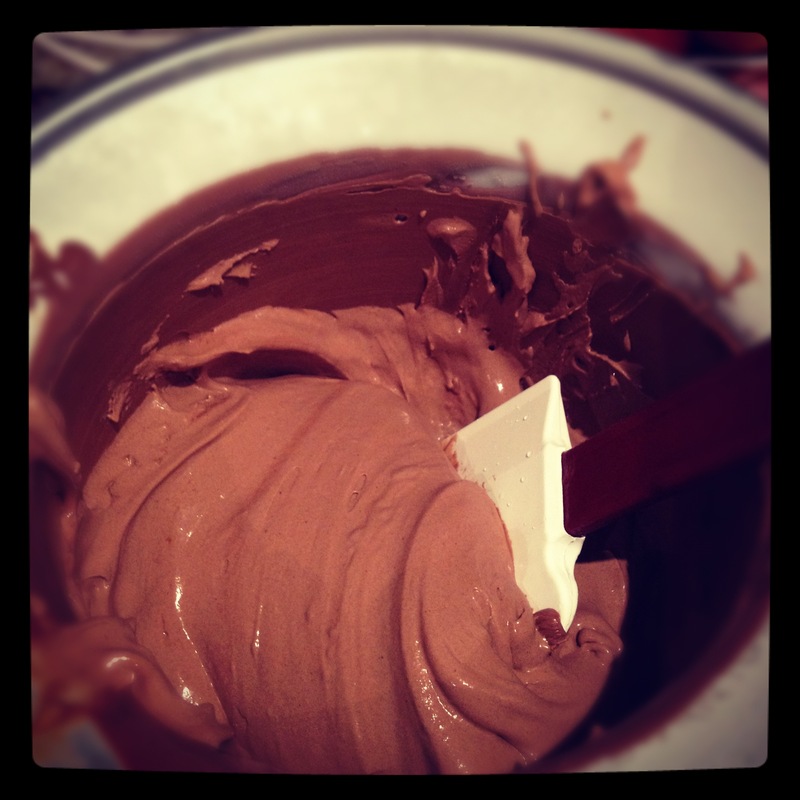 All cocoa powders contain cocoa butter, and an average would be 25%. Cocoa powder usually replaces flour in such recipes and therefore the balance of the recipe is affected. For example in a recipe with 1000 grams of flour, after substitution of 10% there would be 900 grams of flour and 100grams of cocoa powder. Since cocoa powder has a greater water absorbing power than flour, there would have to be an increase in milk/water content by an amount equal to the cocoa powder used. Since the milk content has now been increased, there may also be a need to increase the baking powder slightly to achieve the same degree of aeration. The natural colour of chocolate is influenced by the acidity and alkalinity of the batter, the former giving a greyish colour, whilst an alkaline one enhances the attractive rich chocolate colour. It is not unusual therefore to add a slight increase in bicarbonate of soda to achieve this purpose.